We had a busy weekend, starting with celebrating Jaidyn’s 13th birthday (I can’t believe we have a teenage granddaughter already!!!) on Friday evening and then celebrating the first birthday of my great-niece, Scarlett Grace…and of course I couldn’t pass up the opportunity to bake and decorate birthday cakes for these two very special girls! If you’ve followed my blog at all you know by now that Jaidyn has Rett Syndrome, which has robbed her of speech and the ability to control her left hand, along with so many other things. We are grateful that she can walk since at least 50% of all Rett girls don’t have that ability. Jaidyn works incredibly hard every single day to do little things we all take for granted…and she still has a smile on her lovely face that can light up the room! Scarlett Grace has had her own battles since birth. In the first 6 months of life, she’s had to endure 4 surgeries to correct medical issues and yet she too manages to have a beautiful smile for those who are fortunate to get to spend time with her. She’s had to work harder than most babies do to reach milestones, but she’s catching up by leaps and bounds for which we are thankful. So in honor of these two incredible girls, today’s post is a celebration of their beautiful smiles despite what life has thrown at them! 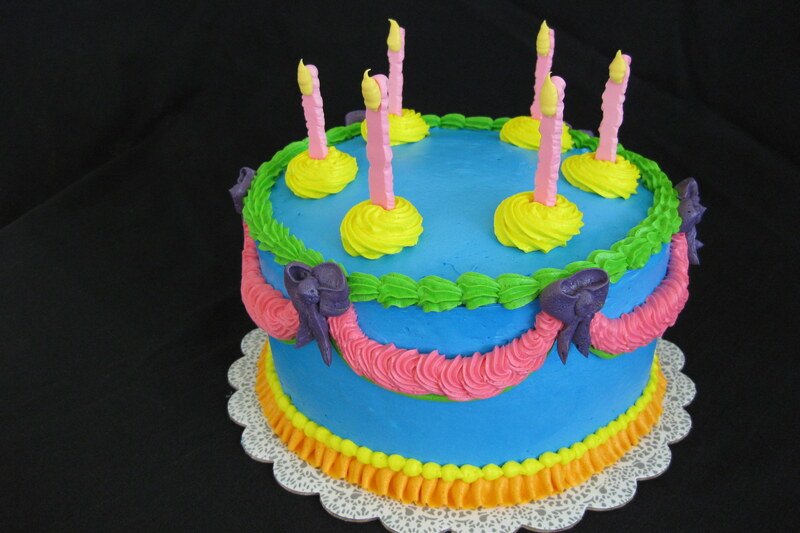 In addition to photos of their birthday cakes, I have included our most favorite frosting and filling recipes towards the bottom. Enjoy! Jaidyn chose chocolate cake which I layered with white chocolate buttercream mixed with crushed Oreos. 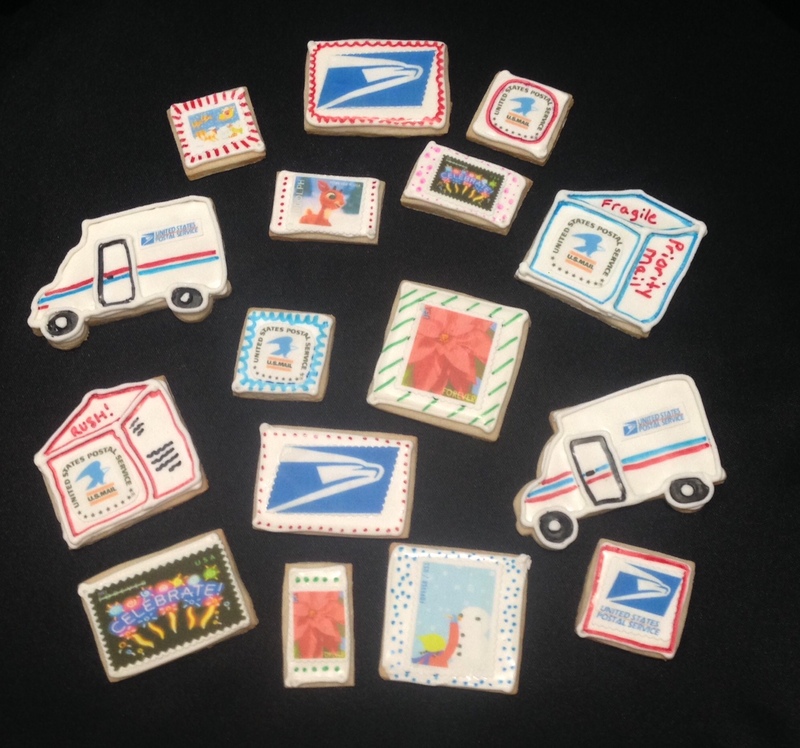 Most of the decorations are fondant cut with cookie cutters or hand formed (think edible playdough! 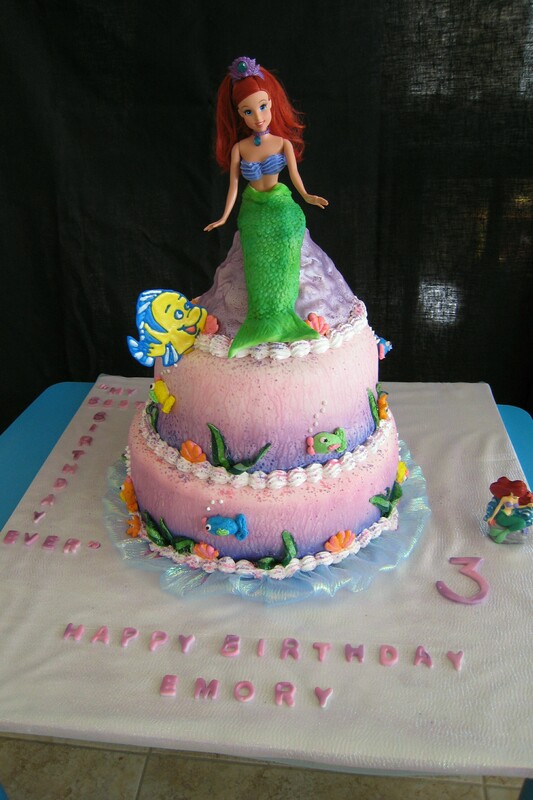 ), and the 13 is gumpaste which dries super hard. 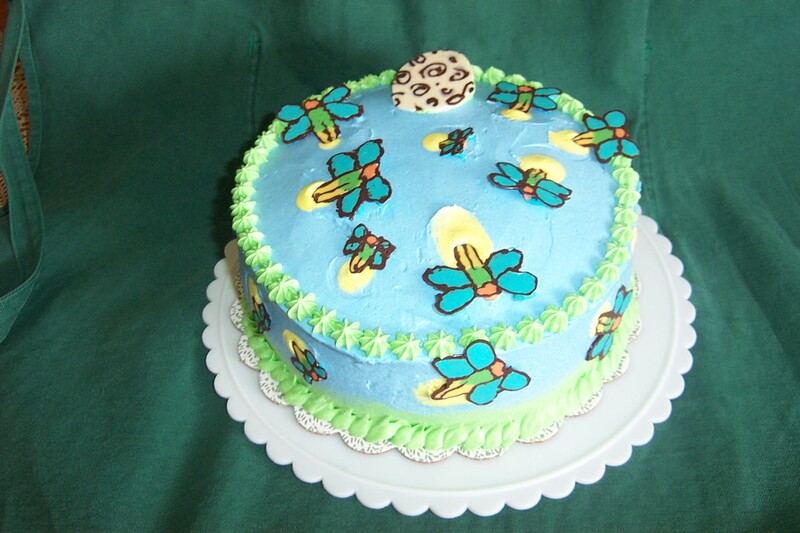 I used royal icing to pipe the details on the butterflies. 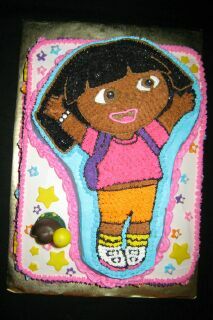 I used my Ultimate Fluffy Buttercream to pipe the clouds and added a sprinkle of Disco Dust for some sparkle. We found the wire butterflies at Hobby Lobby. 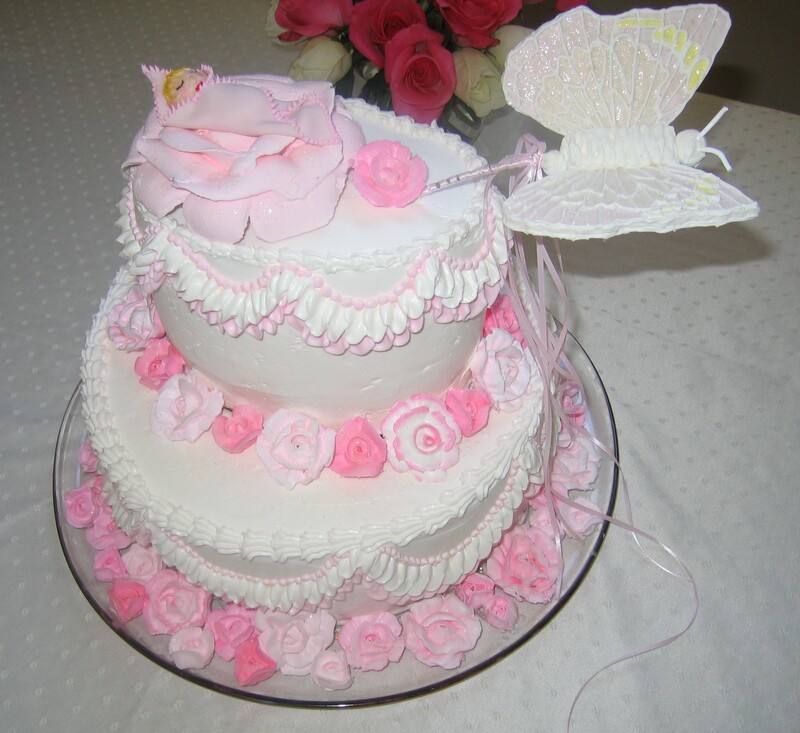 To keep the cake safe I washed the stems then inserted clean plastic straws into the cake and placed the butterfly stems into the straws. Scarlett’s mom and dad chose a hippo theme for her party because hippos are her favorite zoo animal and makes her giggle and smile whenever she gets to visit them! 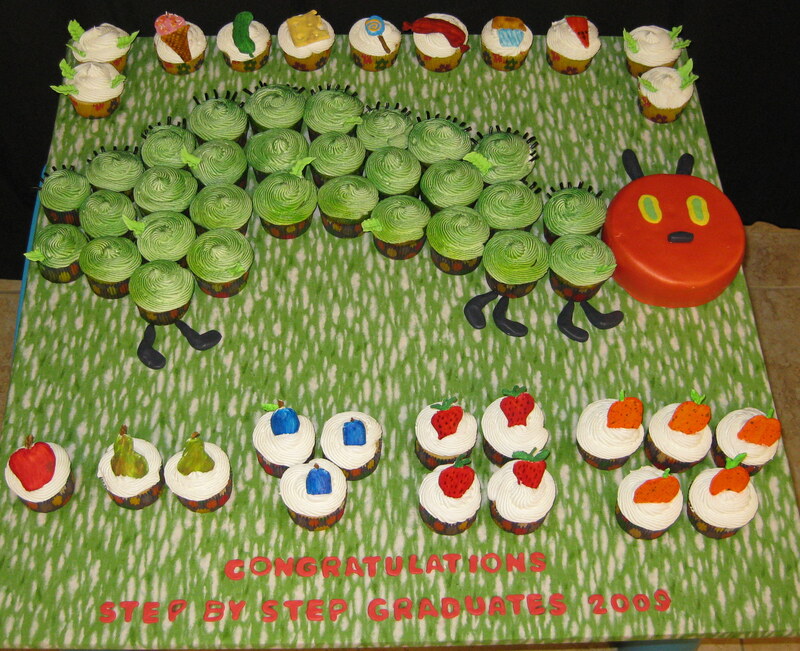 And amazon.com has the cutest pink hippo party plates which inspired the cake (and which I forgot to take photos of). 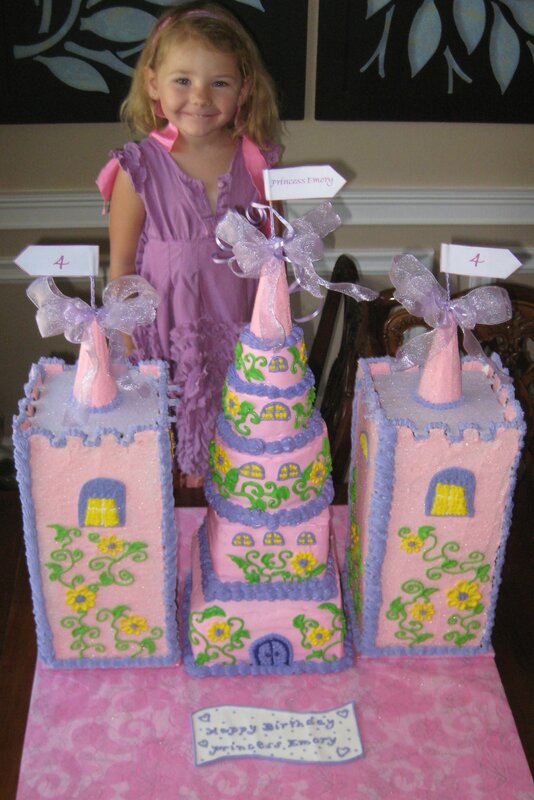 Scarlett’s smash cake and the bottom tier was vanilla cake with white chocolate buttercream filling. 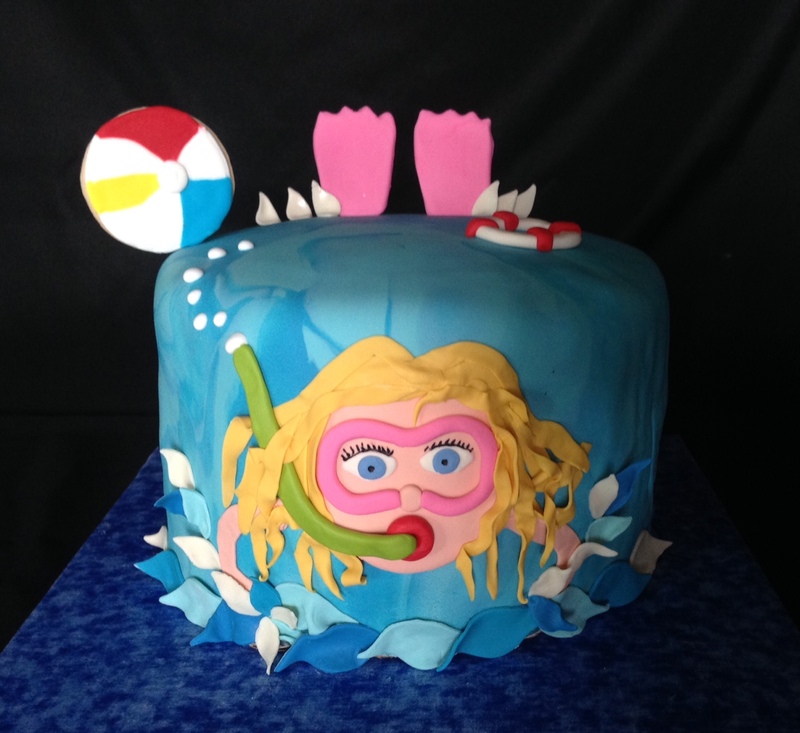 The middle tiers were chocolate cake with white chocolate buttercream mixed with Oreos for the filling. 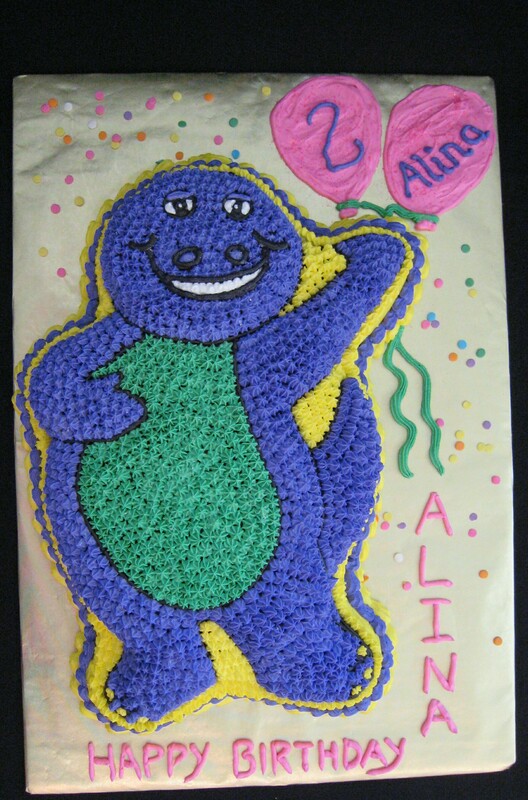 I made the pink hippo from gumpaste so they could keep it if they wanted, and used edible markers for the stitching. 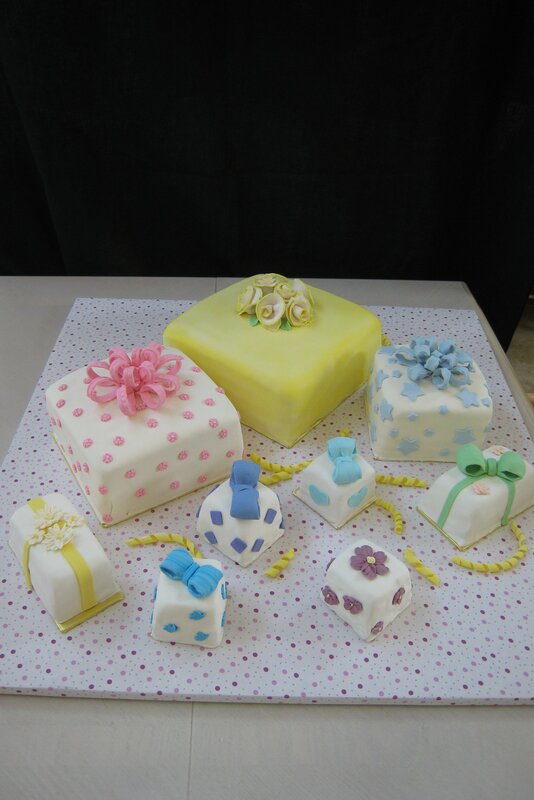 The remaining decorations were made with fondant. I like the Fondarific brand of fondant in wedding white because it stays soft and pliable and tints more accurately than some of the other yellow whites on the market. I was able to cut the diamonds and make the flowers and lilypads a couple weeks ahead of time, then wrap tightly in plastic and store. 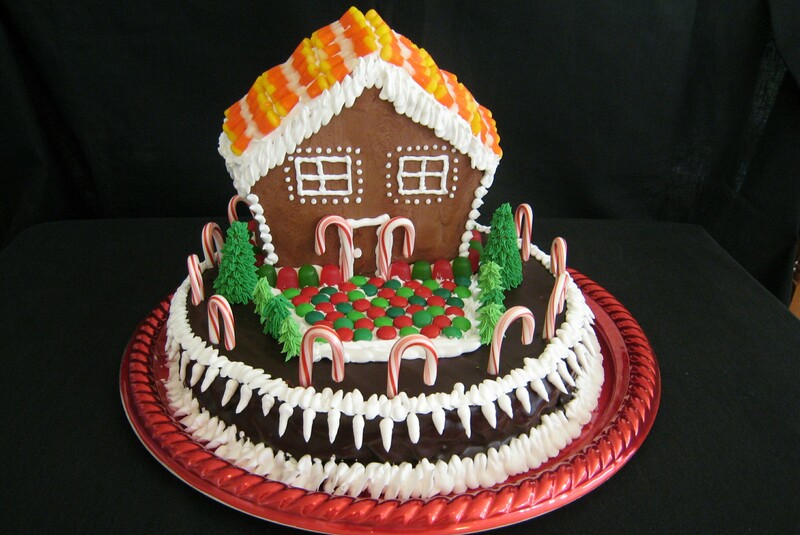 They were still fresh and pliable when it was time to decorate. A special thanks to Bake My Day for posting their pink hippo cake on Pinterest and inspiring me by its cuteness. 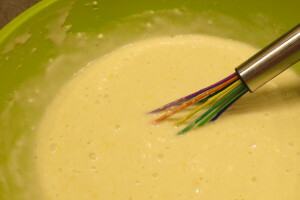 In a bowl of a standing electric mixer, fitted with the whisk attachment, add together the sugar, salt, vanilla and boiling water. Whip until mixture cools, about 10 minutes on medium low speed. It’s important that it reaches room temperature! Gradually add the butter and when it’s fully incorporated gradually add the vegetable shortening. Mixture will look lumpy but that’s normal. Increase speed to medium-high and whip until light and fluffy (about 15 minutes). It’s important to whip it at least a minimum of 10 minutes, so set a timer. Yield: 12 cups, enough to frost and fill two 9” layer cakes or 5 dozen cupcakes. 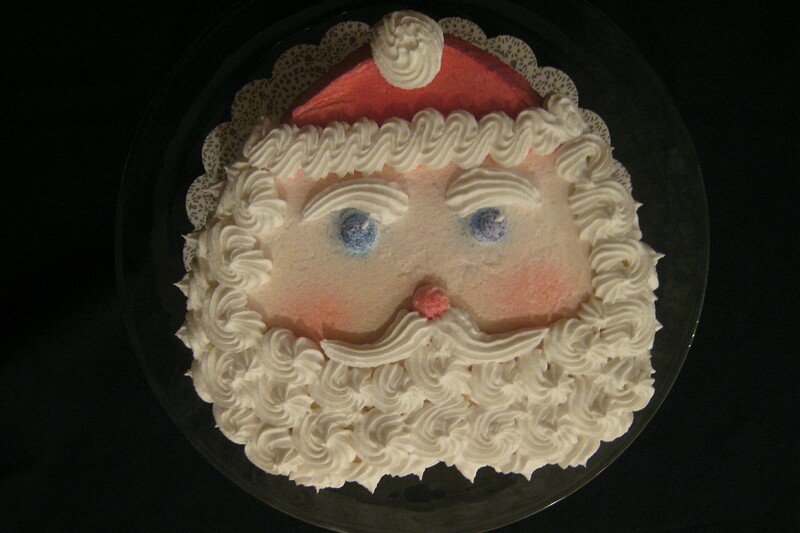 Buttercream Icing can be stored in the refrigerator up to 1 week, or frozen up to 6 months if stored in freezer safe ziplock bags. To use after freezing: defrost overnight in refrigerator then bring to room temperature for an hour or two before using. 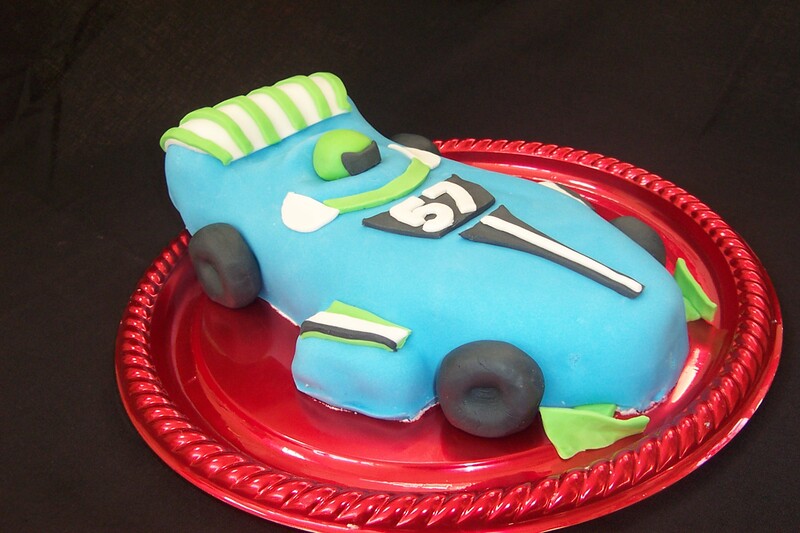 Whip for several minutes until fluffy then proceed with frosting your project. 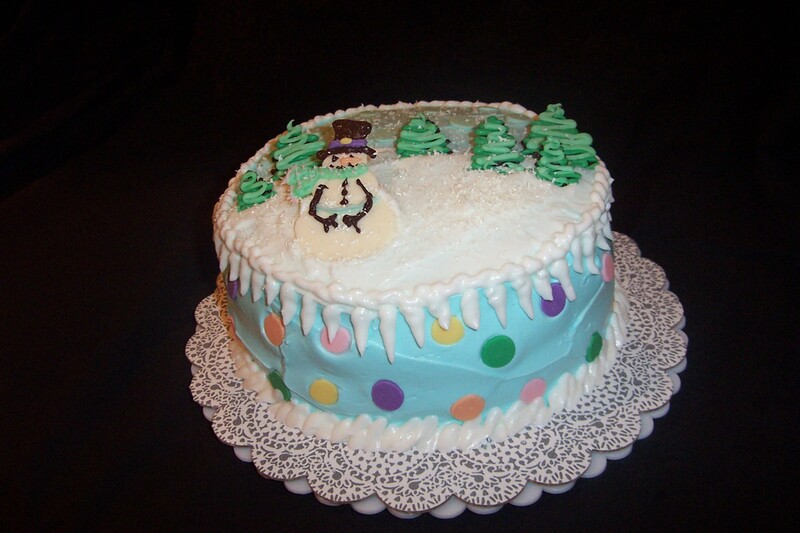 *If you are going to freeze the extra icing to use on future projects, use vanilla extract then freeze. Add Fiori di Sicilia after defrosting when you rewhip the buttercream. I’ve used the citrus flavoring before then decided it didn’t work quite right when I needed to frost a chocolate cake later on. 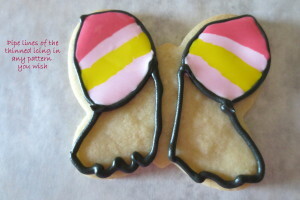 ** If you use grocery store vegetable shortening, make sure to use oil based Candy food coloring. You can generally find at Joann’s, Michael’s or Hobby Lobby. When I measure out the butter and vegetable shortening, I line a plate with plastic wrap to make for easy clean up. I like to store the extra buttercream in 3-cup increments to use for a dozen “impromptu” cupcakes. 3 cups will fit into a quart ziplock bag, then store the quart-sized bags in a freezer safe gallon-sized bag before freezing. 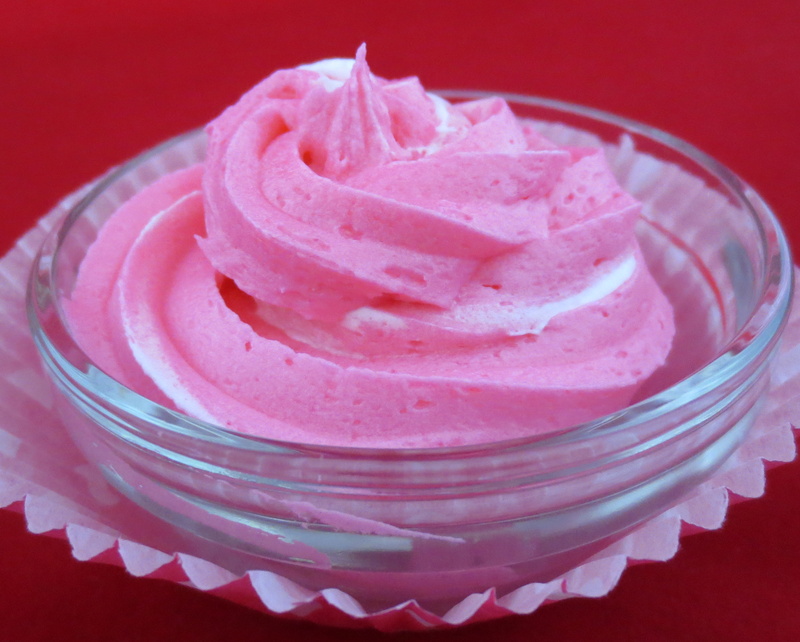 This frosting is best used for cupcakes and 2-layer, single tier cakes. 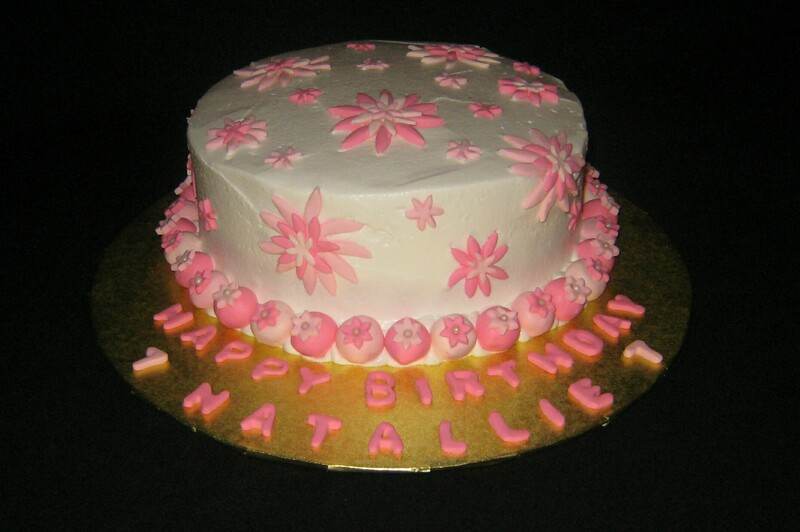 Larger and heavier stacked cakes need a more structured frosting, such as my white chocolate buttercream. Ultimate Fluffy Buttercream Frosting may seem like a lot of work and steps, but it’s mostly hands off work. And since it makes so much extra that can be easily frozen for future use, it is a worthwhile endeavor. One of the many reasons I love this frosting is that it’s not overly sweet and it doesn’t send confectioner’s sugar flying all over the kitchen. Microwave the white chocolate in a heat proof dish (I like a glass measuring cup for this) for 30 seconds. Remove and stir, then return to microwave. Heat an additional 15 seconds, then stir again. 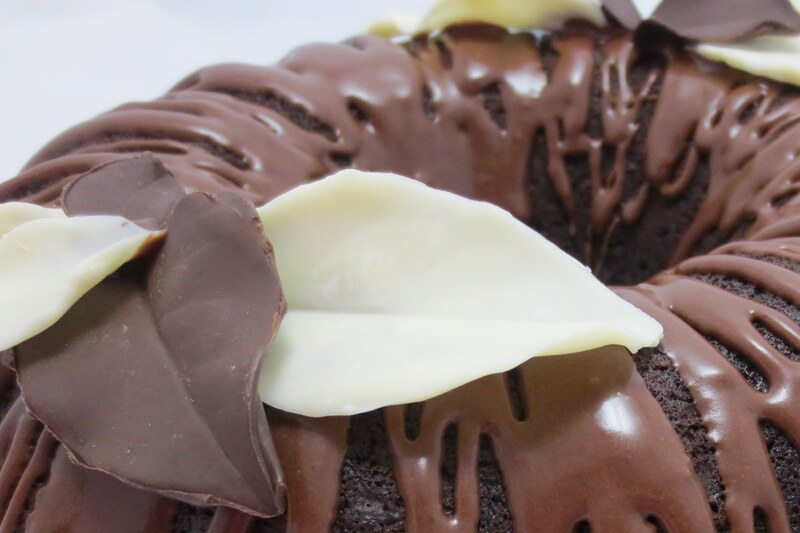 Repeat until chocolate is melted, but use care in making sure you don’t overheat. Let chocolate cool to room temperature, about 20 minutes, while you collect the remaining ingredients. Whisk the salt and vanilla into the 1/3 cup Half & Half. In the bowl of a standing mixer fitted with either a whisk or this beater blade, beat the butter until creamy, about 2 minutes. 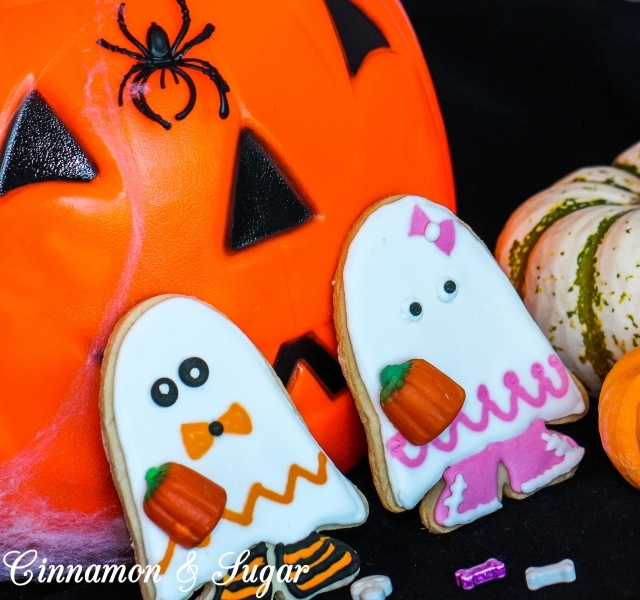 Gradually add approximately 1/3 of the sugar. When it’s incorporated add 1/3 of the Half & Half mixture and beat. 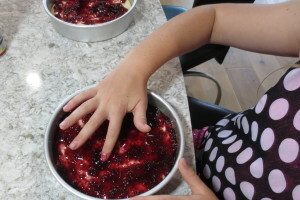 Repeat alternating with the confectioner’s sugar and the milk mixture until all is fully incorporated, scraping down the sides of the bowl as needed. When frosting is blended and creamy, slowly add in the room temperature white chocolate and whisk in the mixer until light and fluffy. Add additional Half & Half as needed, until desired consistency is reached. To make Cookies & Cream filling for a cake, remove 2 cups and add in as many crushed Oreo’s as you wish. Spread between the cake layers, then finish frosting cake with the remaining buttercream. 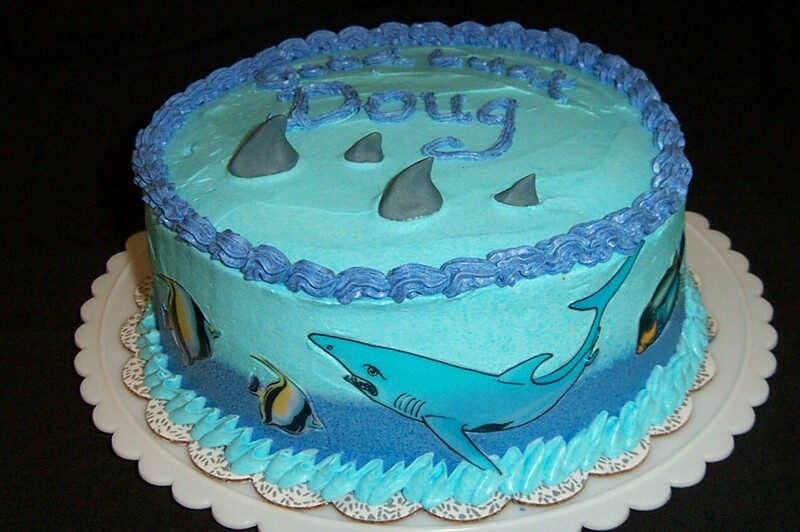 This frosting tints beautifully using gel food coloring. 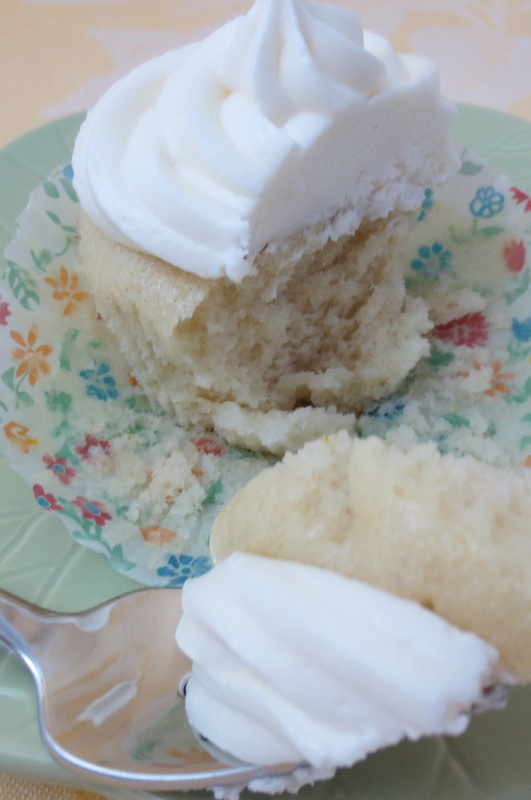 This is a stiffer, crusting buttercream so it works perfectly for cakes that need more structure. Use whole milk instead of water and add a couple teaspoons of vanilla or other complimentary extract. I often use Fiori di Sicilia when making any white or vanilla mix. Before adding the filling, brush the layers with a simple syrup flavored with vanilla. To make simple syrup mix 1/4 cup granulated sugar and 1/4 water in a heat-proof dish. Heat in the microwave for 2 minutes then stir until sugar is completely dissolved. 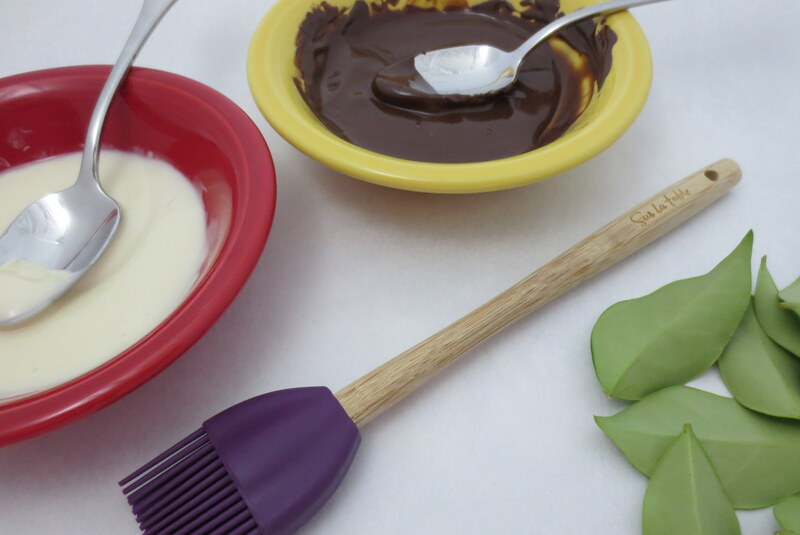 Add 2 teaspoons vanilla extract then brush over the cake layers using a silicon pastry brush. Use generous amounts of flavorful homemade frosting and filling, such as my recipes above, and then it’s up to you whether or not to confess you’ve used a boxed mix for your creations! It’s impossible to believe that the tiny baby girl who stole my heart is turning 13 today! 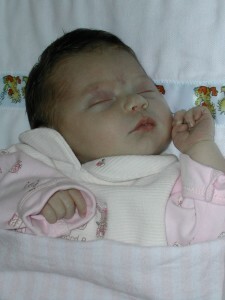 I met my granddaughter, Jaidyn, when she was just a few minutes old and instantly fell in love with her. Little did I know how she would drastically change my life…and in a very good way! I think soon-to-be parents know their lives will be changing but I hadn’t given any thought about what a grandchild would mean to me. First of all, when my step-daughter decided to go back to work, I knew I wanted to have Jaidyn two times a week. Since I don’t have children of my own, being responsible for an infant all of a sudden was daunting. Thank you, Briana, for having faith in me and placing your precious daughter in my care! After a few weeks we got into a routine and all was well…until Jaidyn stopped reaching milestones around 6-months of age. Concerned, we finally got her into physical therapy and she learned to crawl and eventually walk around 17-months old. I will never forget the day that her physical therapist told me that Jaidyn was physically capable of walking and running but that something else was going on and we should probably consult her doctor. We also noticed that she didn’t play with toys and speech was limited. After many, many appointments with her neurologist and other specialists we received Jaidyn’s diagnosis when she was three-years-old…Rett Syndrome. The monster that steals so much from so many little girls. If you are interested in learning more please visit RettSyndrome.org. Despite Rett Syndrome, Jaidyn’s parents have done an admirable job of raising their daughter and including her in their family activities. And me? I feel blessed to be a part of Jaidyn’s life. She has taught me what unconditional love means and inspired me to grow into a less self-centered person. And because of Jaidyn, I found my passion in life (aside from Jaidyn and Emory of course! 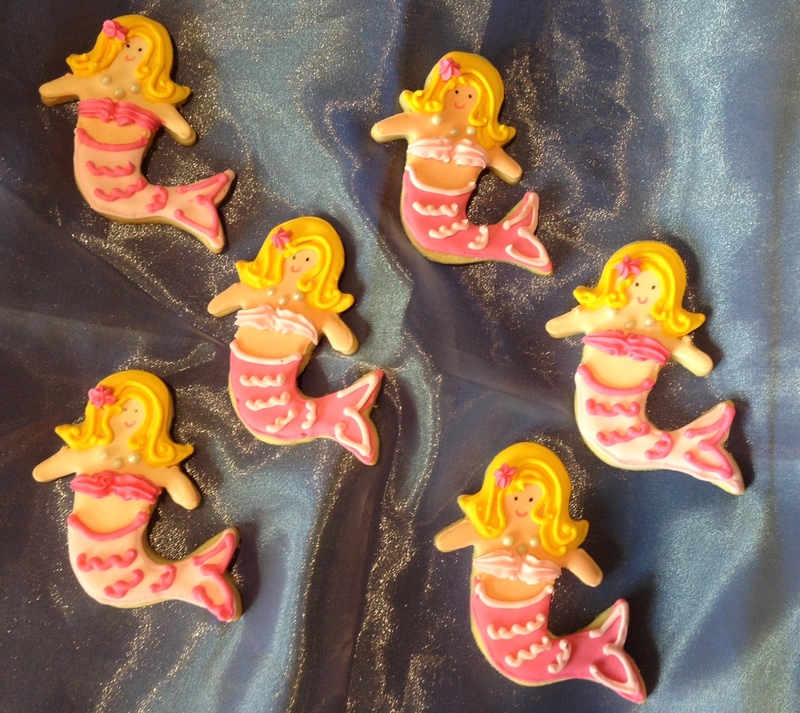 )….baking, decorating, creating. 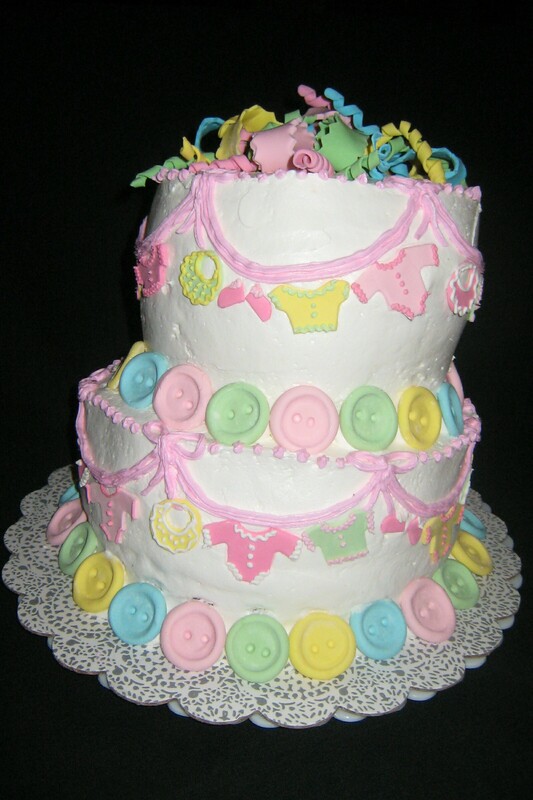 Never in a million years did I think I had any creativity living in me until Briana asked me to make Jaidyn’s first birthday cake…and then I was hooked! 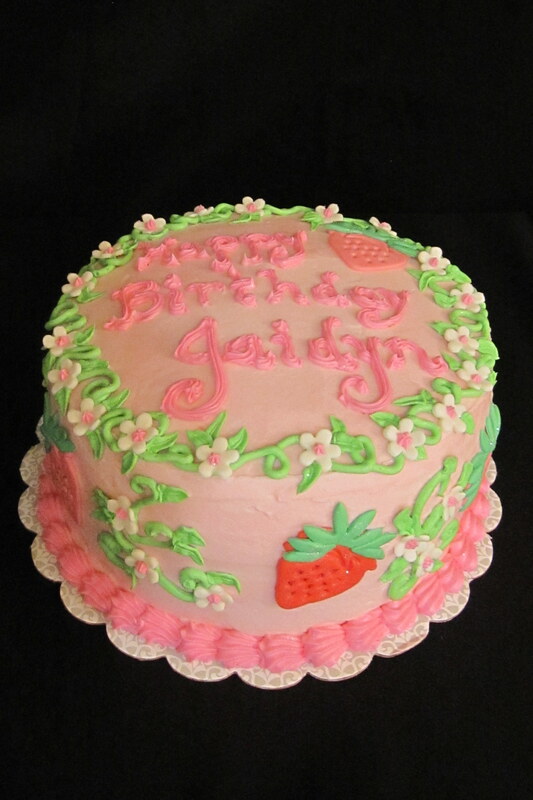 So happy 13th birthday to my sweet Jaidyn! Start with your favorite sugar cookie dough recipe or you can use mine: WaWa’s Sugar Cookies. 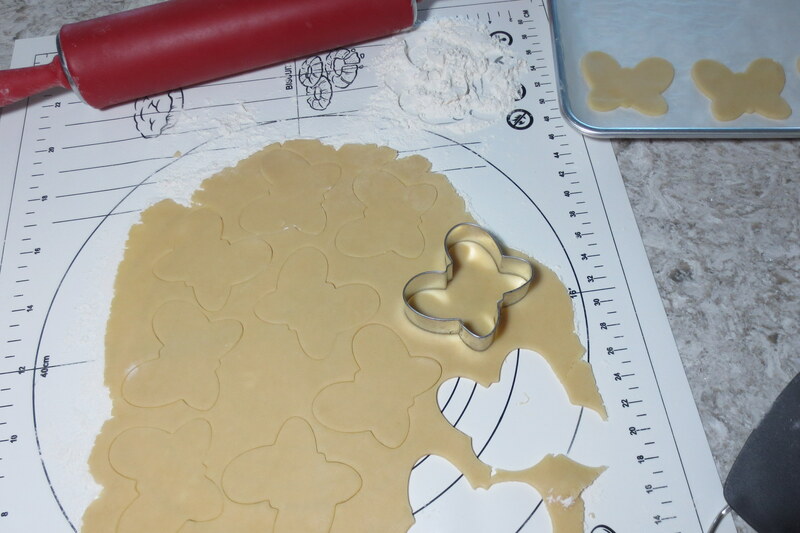 Cut out the dough using butterfly cutters. 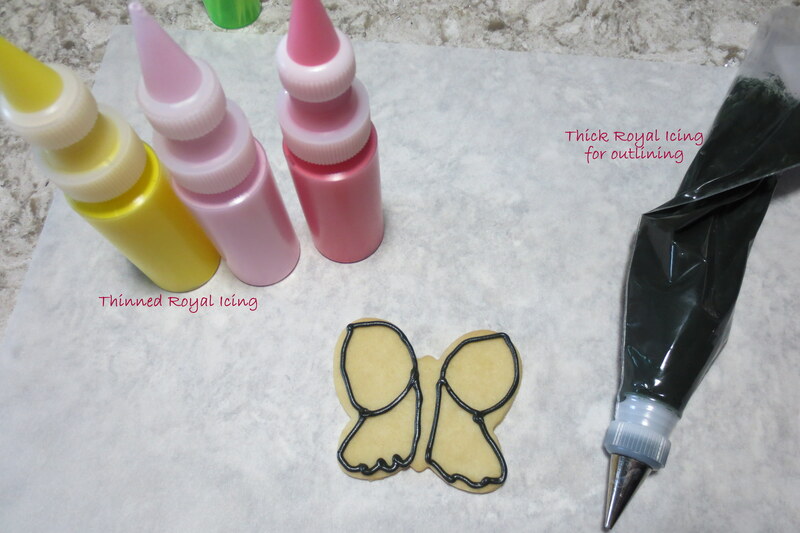 Mix and color Royal Icing. Decide on your outline color(s) and place thick royal icing in a piping bag(s) fitted with tip 3. Color and thin the remaining icing to 7-second icing. You can see my detailed tutorial here. 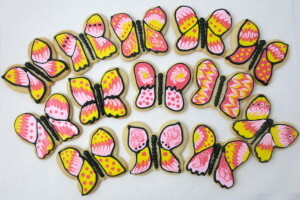 Outline the butterfly cookies with the thick icing. 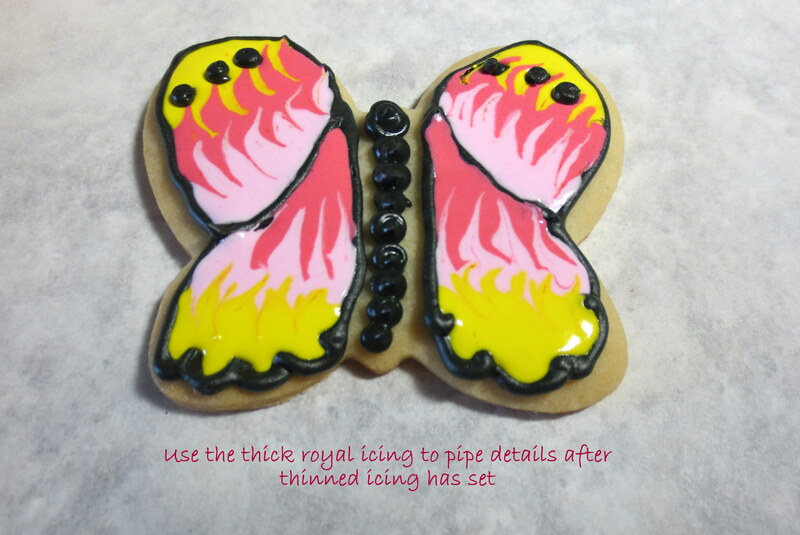 Using the thinned royal icing fill in the wings. 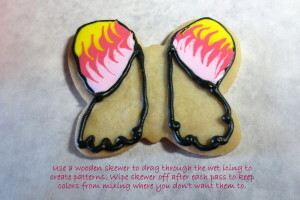 Immediately use a wooden skewer to drag through the colors, creating patterns as you wish. Wipe the skewer off with each swipe to keep the colors clean. Set the cookies aside to dry, then add any embellishments with stiff royal icing. 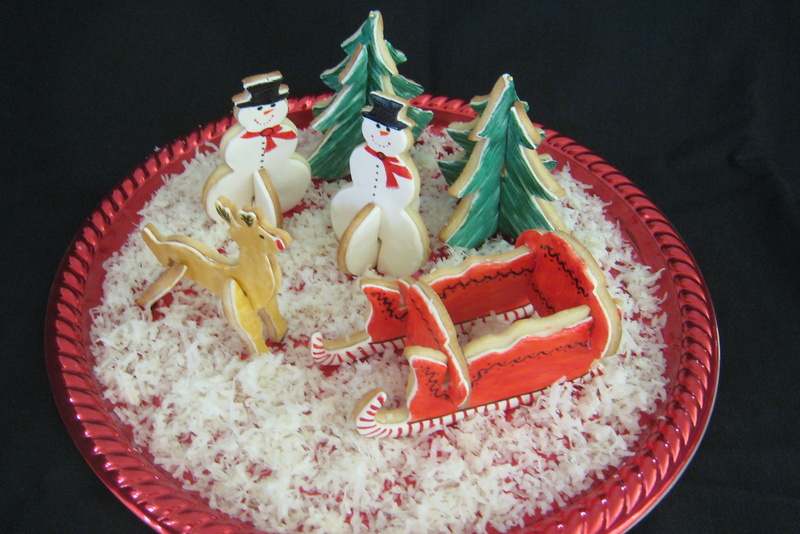 Cookies will keep up to one week if placed in an airtight container and stored in a cool, dry environment. Enjoy! As the weather warms up and we head towards summer my thoughts are turning towards delicious breakfast items to serve to family and friends who come to visit. 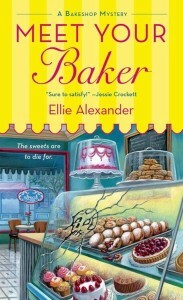 And of course there’s Mother’s Day brunch and Father’s Day breakfast to consider so I was very happy when I came across a recipe for Raspberry Danish in the cozy mystery MEET YOUR BAKER by Ellie Alexander. 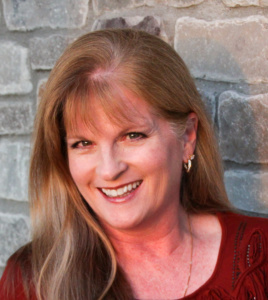 Juliet Capshaw (yes, named after THE Juliet from Romeo & Juliet) returns home to Ashland, Oregon which is known world-wide for it’s Shakespeare Festival. 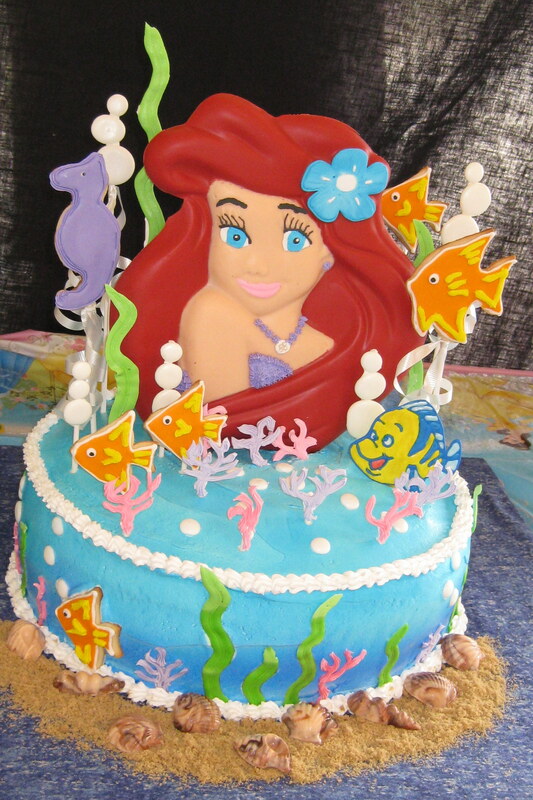 She’s been gone ten years sailing the seas as a pastry chef and finds it difficult to fit in while trying to figure out what to do about the devastating betrayal by her chef husband. 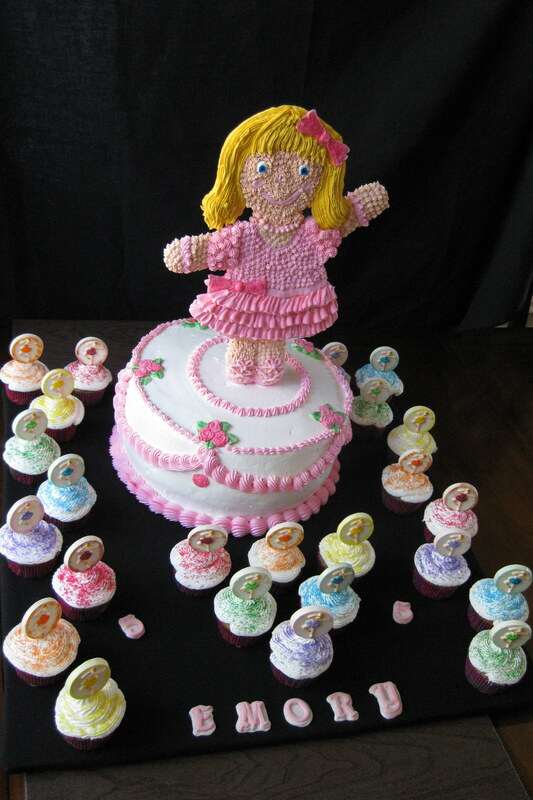 Her mother owns a bakery, Torte, so Jules, as she now calls herself, steps in to help out. It’s not long before the obnoxious new Festival board member, Nancy Hudson, is murdered in the kitchen of Torte. Nancy has given plenty of people in the town a reason to murder her. Jules also finds out that her mother has been keeping secrets from her and if she doesn’t step in and figure out the murder they could lose their family bakery. I loved so much about this book: a good mystery that kept me guessing; quirky characters and their relationships; and the Ashland, Oregon setting. I visit family in Oregon every summer so I was very familiar with her descriptions of the quaint town and it’s people, along with the devastating forest fires that seem to hit the forests of Oregon and California every year. Ellie Alexander also provides several delicious recipes that make me wish I could spend more time in the kitchen. 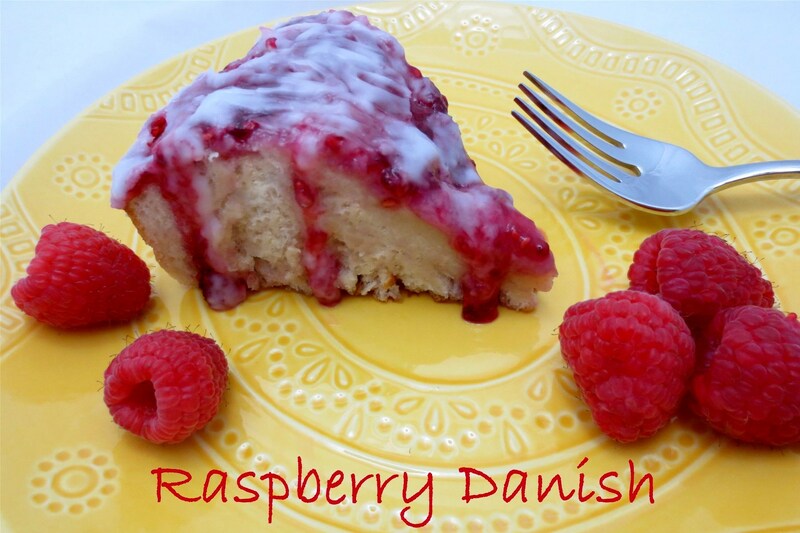 Many thanks to Ellie for allowing me to share her recipe, Raspberry Danish, with you! Mix the yeast and sugar into the warm water and let rise for 10 minutes. While that’s rising, melt the butter in the milk. 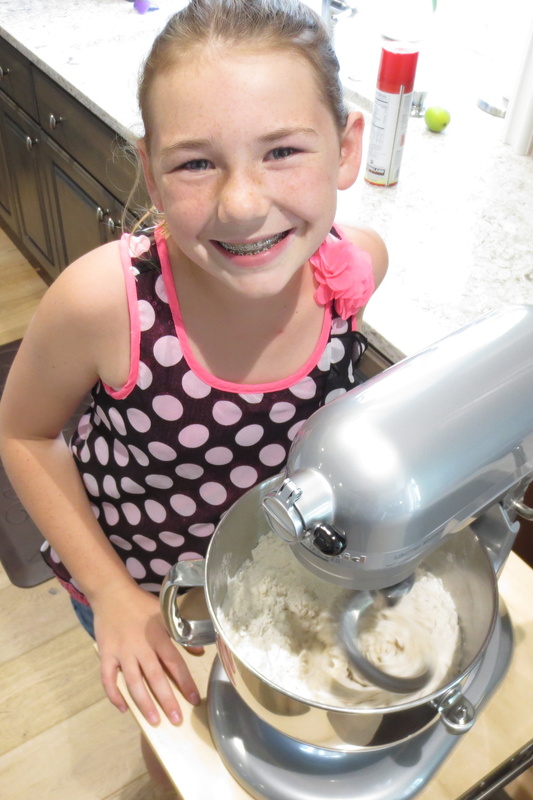 The temperature should not exceed 105 degrees when you add to the flour mixture. Sift the flour and sugar into the bowl of a standing mixer. Add the yeast, milk and butter to the flour mixture and knead with the dough hook until it doesn’t stick to the bowl, scraping down sides as necessary. 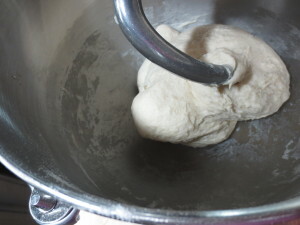 If dough is too sticky add more flour 2 teaspoons at a time. 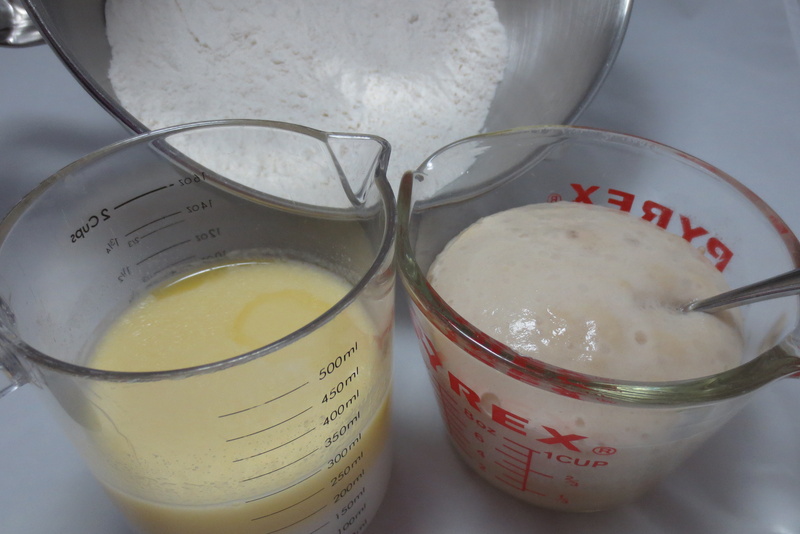 If dough is too dry, add additional milk 1/2 teaspoon at a time. Cover with a kitchen towel and let it rise for 15 minutes. Grease two 8-inch round cake pans. Divide dough into two balls and pat into the cake pans. Prick with a fork, cover with the kitchen towel, and let rise for 15 minutes. 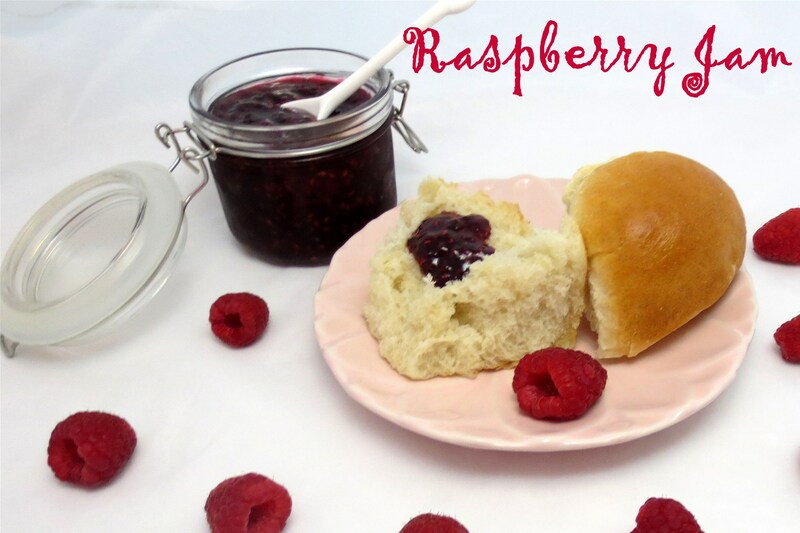 Warm the raspberry jam in the microwave for 30 seconds, just until warm and a fairly liquid consistency. Drizzle dough with raspberry jam and gently spread using the tips of your fingers. 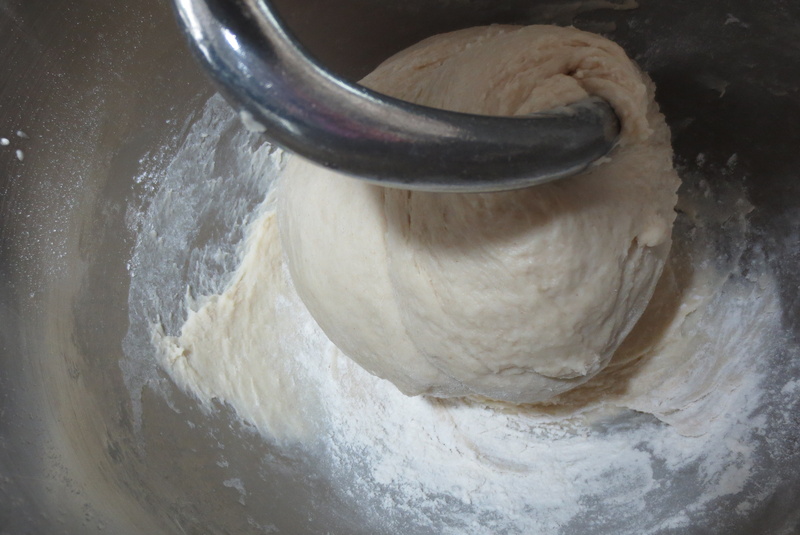 Don’t apply pressure to dough or it may deflate. 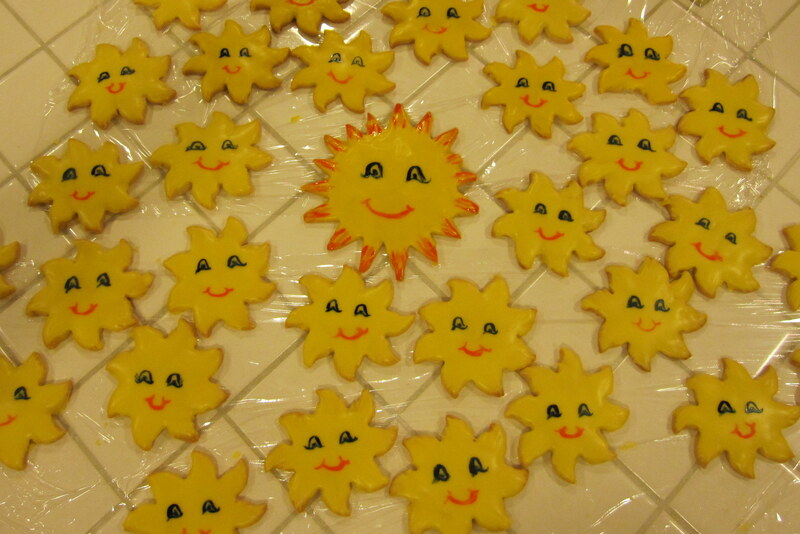 Bake at 425 degrees for 13 – 15 minutes. The middle of the bread should reach 190 degrees. Let bread cool in pan for 15 minutes, then run a knife around edges. Carefully remove from the pan (I used the knife and an extra large spatula) and transfer to a serving platter. 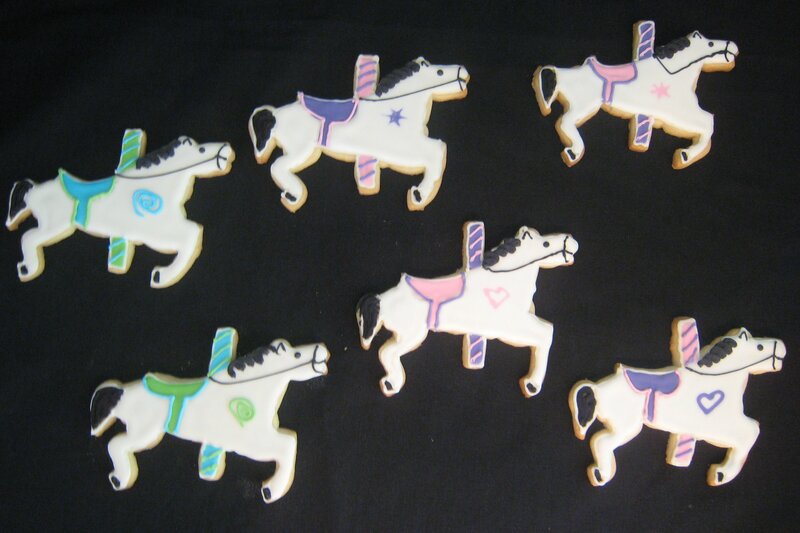 If desired, spread with vanilla frosting or simple glaze (recipe below) when pastry is cool. Whip butter, add powdered sugar and mix to fully incorporate. Slowly add the vanilla and milk and mix until blended. Frosting will be on the thin side and should drip over the sides of the pastry. My note: I used vegan margarine and coconut milk to make the frosting since my husband is dairy-free. The margarine separated a bit so I added an extra half cup of powdered sugar. 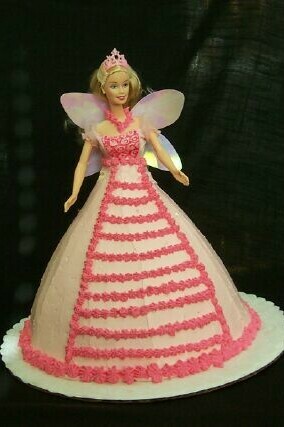 Alternately, you can use the icing glaze and omit the margarine. Whisk together until smooth and drizzle over cooled Danish. Prepare waterbath canner and sterilize jars, lids and rings. I place my jars into a large skillet with 1-2 inches of water and simmer to keep the jars hot. The lids and rings should also be covered with hot water and kept at a bare simmer until needed. 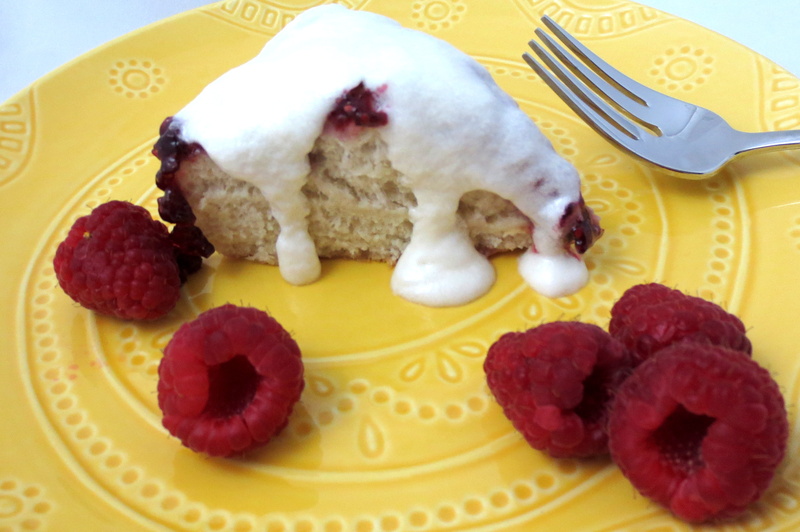 If using frozen raspberries, defrost in microwave and measure. 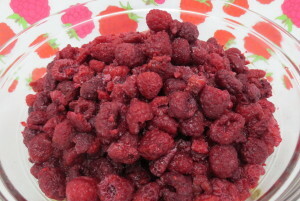 If using fresh raspberries, pulse clean berries in a food processor until coarsely chopped then measure 4 cups. 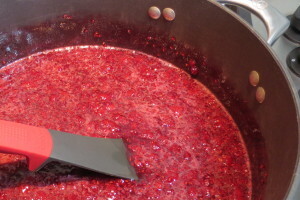 Add raspberries and sugar to an 8-quart pan (I like using my Dutch oven for making jam). Heat over medium high until mixture comes to a full rolling boil, one that you can’t stir down the bubbles. As it begins to heat, stir the mixture frequently, but when it is close to starting to boil begin stirring the mixture constantly. Add the package of liquid pectin and bring jam back to a full rolling boil. Boil for 1 minute then turn heat off and remove pan from burner. Skim off any foam and discard. 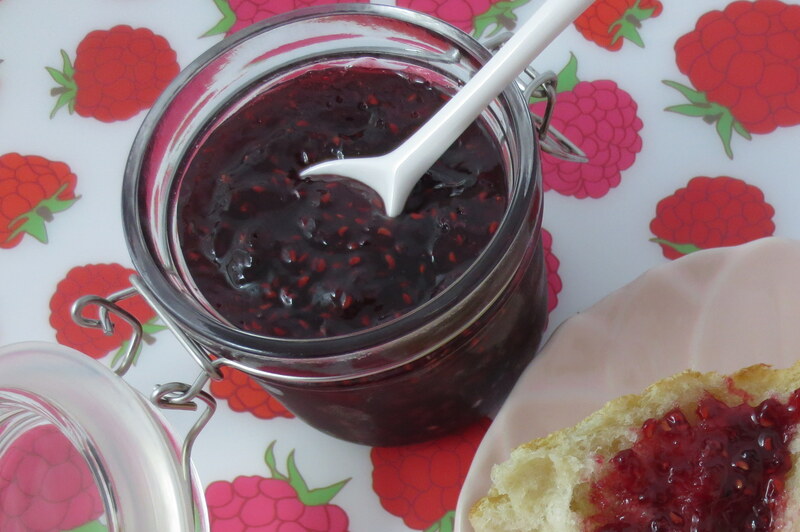 Carefully ladle the hot jam into hot jam jars and wipe the rims with a clean, damp paper towel. Place the lids on the jars and fingertip tighten the rings. Place the jars into the prepared waterbath making sure jars are covered by at least 1 – 2 inches of water. Cover the pot, bring to a gentle boil and process for 10 minutes. After 10 minutes turn heat off, remove lid and let sit for 5 minutes. Remove jars from waterbath and let cool. Once cool, check to make sure the jam has sealed. The tops of the lids should not move up and down when pressed. If any jars did not seal, store jam in the refrigerator and use within 3 – 4 weeks. Label and store the sealed jars in a cool, dry place up to 1 year. Add 1/2 teaspoon butter or margarine to the raspberries and sugar when cooking. The butter will reduce the foam that will need to be skimmed off before canning, but make sure to use only a scant 1/2 teaspoon. I’ve read some concerns that the added dairy could inhibit the jam from properly storing but my mother used this method for decades and none of us ever got sick. Sure-Jell included adding butter in its instructions but my package of Ball pectin did not make this suggestion. Frozen berries are generally less expensive than fresh and break down quickly when defrosted which makes a very good choice for making jam. I bought my frozen raspberries from Costco. 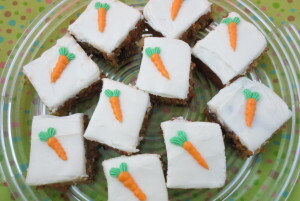 Carrot Cake that’s healthy enough for breakfast! When I was a kid my mother would always make sure we had a healthy, hot breakfast. Once I was out on my own I discovered leftover dessert for breakfast once in awhile was something to look forward to…after all, lots of people eat donuts for breakfast and that’s basically a dessert, right? My go-to desserts for breakfast has always been pumpkin pie or rhubarb pie or some kind of fruit cobbler. They seemed more healthy with the fruit and vegetable or so I rationalized. However, had I had this Carrot Cake in my baking repertoire, I would have been eating dessert for breakfast a lot more often: it’s got veggies, fruit, nuts and eggs for protein. Healthy but it still tastes rich and decadent thanks to the applesauce and pineapple providing lots of moisture. 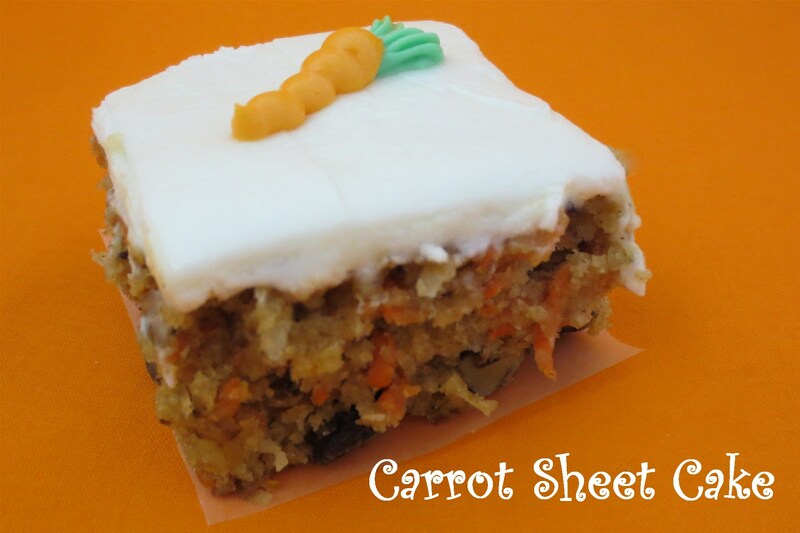 So go ahead and bake this carrot cake for dessert and indulge yourself and have the leftovers for breakfast the next morning! 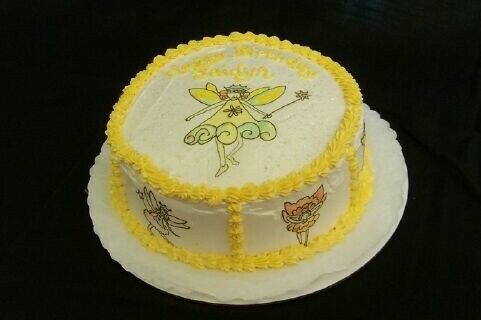 Line a 11″x15″ sheet cake pan with foil, letting foil overhang on all sides so you can easily lift cake from pan. 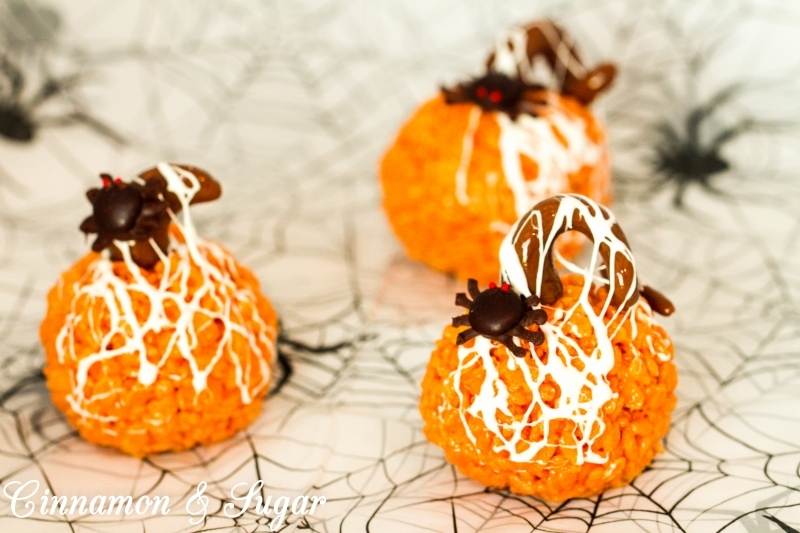 Top the foil with a piece of parchment paper and spray parchment and foil with cooking spray. Whisk applesauce, vegetable oil, sugar, eggs, vanilla and pineapple with it’s juice together in a large bowl and set aside. In a medium-sized bowl, whisk the flour, baking soda, baking powder, salt and cinnamon together and set aside. In another medium-sized bowl, combine the grated carrots, coconut, walnuts and raisins together. Gently mix the flour mixture into the applesauce mixture, stirring until combined. Fold the carrot mixture into the cake batter just until incorporated. 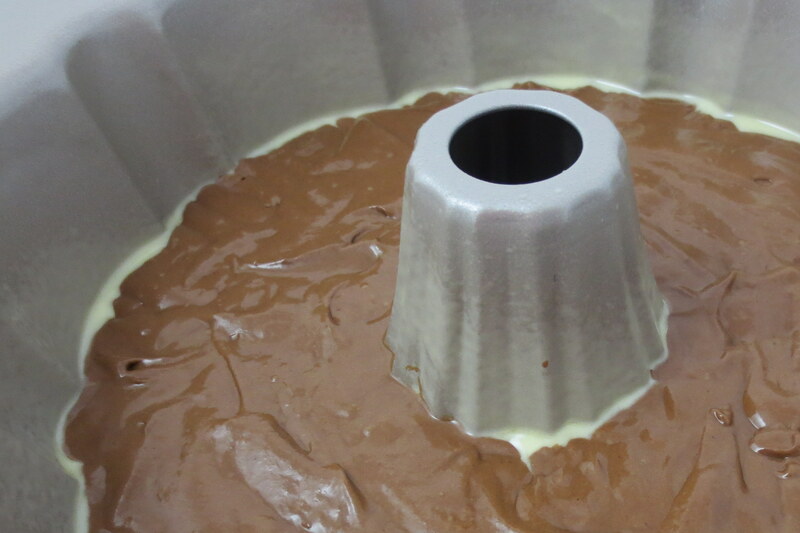 Pour cake batter into the prepared sheet cake pan and place in oven. 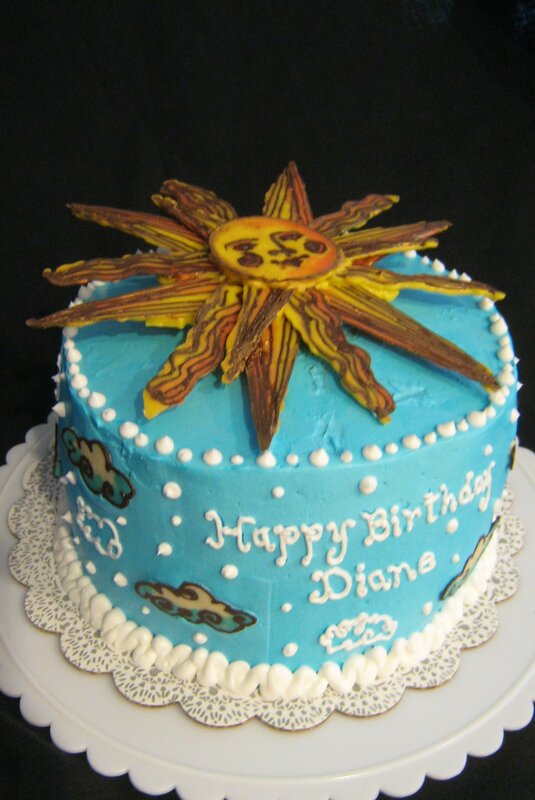 Bake 25 – 30 minutes or until wooden skewer inserted into the middle of the cake comes out mostly clean. 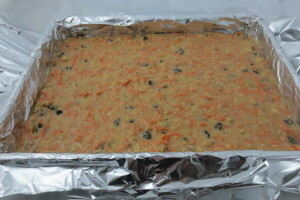 Let cool completely, then use the foil sling and remove cake from pan and place on a sturdy portable surface, such as cookie sheet or chopping board. In the bowl of a standing mixer, beat the butter and cream cheese until creamy and smooth. Slowly add the confectioner’s sugar and vanilla and beat until creamy, 3 – 5 minutes. Prepare a pastry bag fitted with a Tip 7. 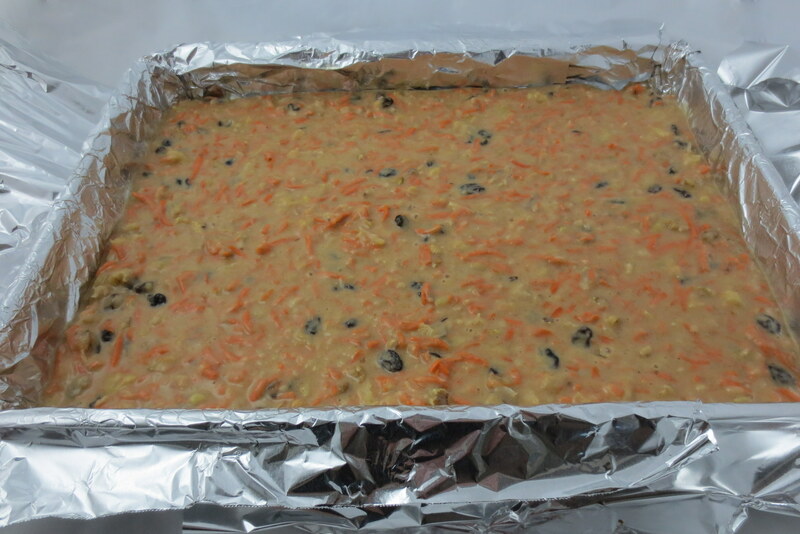 Before frosting the cake, remove 5 tablespoons of the cream cheese frosting, tint orange and place in the bag. Remove an additional 3 tablespoons, tint green and place in a pastry bag fitted with a Tip 16. Cover the cake with the remaining frosting and refrigerate for 15 minutes. 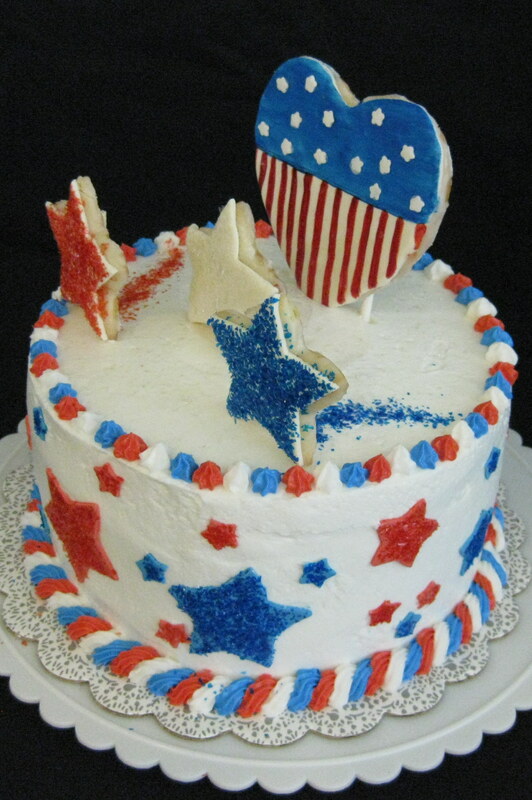 Remove cake from refrigerator and slice into 24 pieces. I like to use unflavored CLEAN dental floss to score straight cutting lines first. Pipe 2 lines of green icing for the carrot tops on each piece. 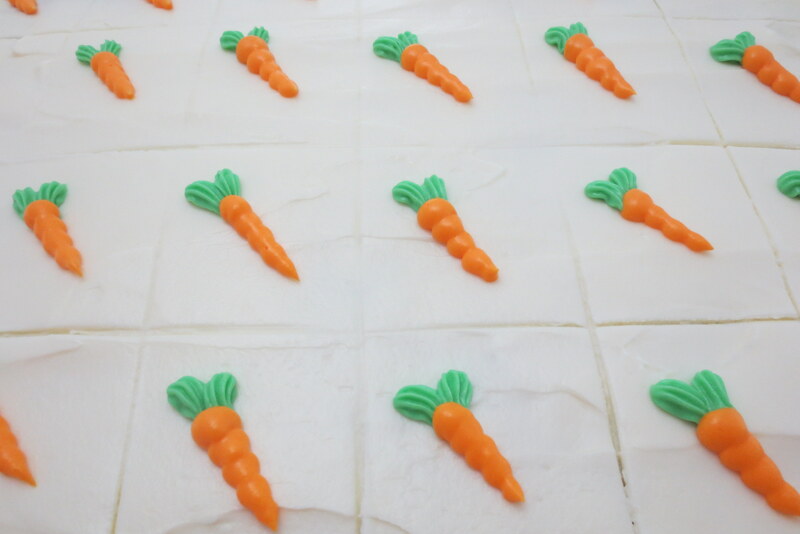 Make sure you leave room for the carrot! Pipe a carrot overlapping the green top, applying more pressure for the fat end of the carrot and diminishing pressure at the bottom of the carrot. 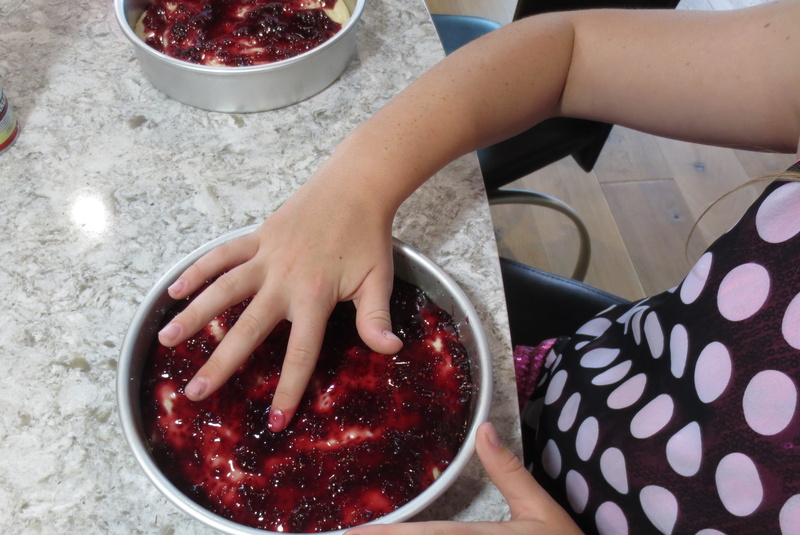 To be honest, I never think about baking cake for a mid-week family dessert when we have the chance to get together. 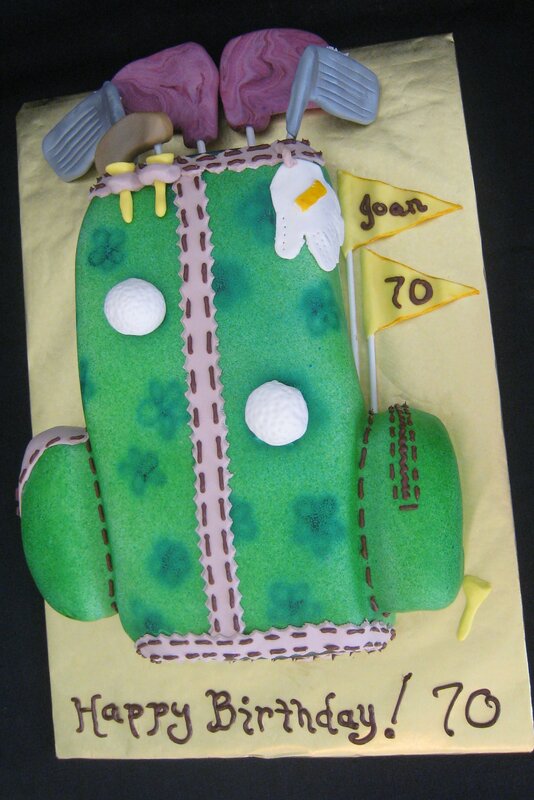 I’ve always associated cake with birthdays and celebrations. Maybe it’s because growing up my mother generally made pies, fruit cobblers or cookies served with ice cream for our family’s evening desserts and saved cake for birthdays. 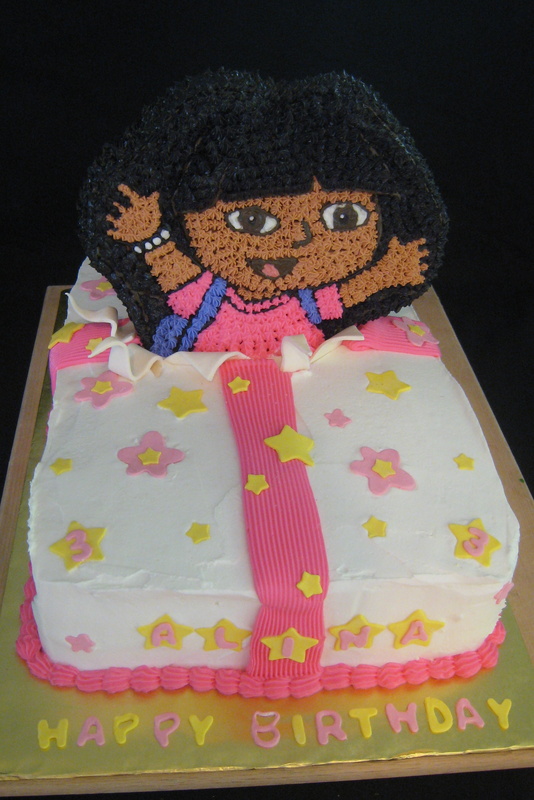 I love to decorate cakes for my family and very close friends for special celebrations and can spend hours upon hours getting the decorations just right. 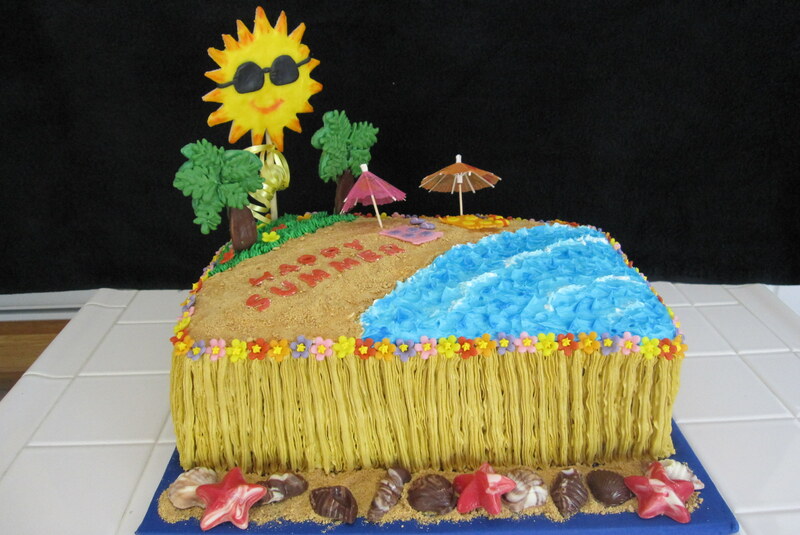 But when it comes to actually baking the cake I use…gasp….a boxed mix doctored up a bit. It’s quick and it’s almost fool-proof. 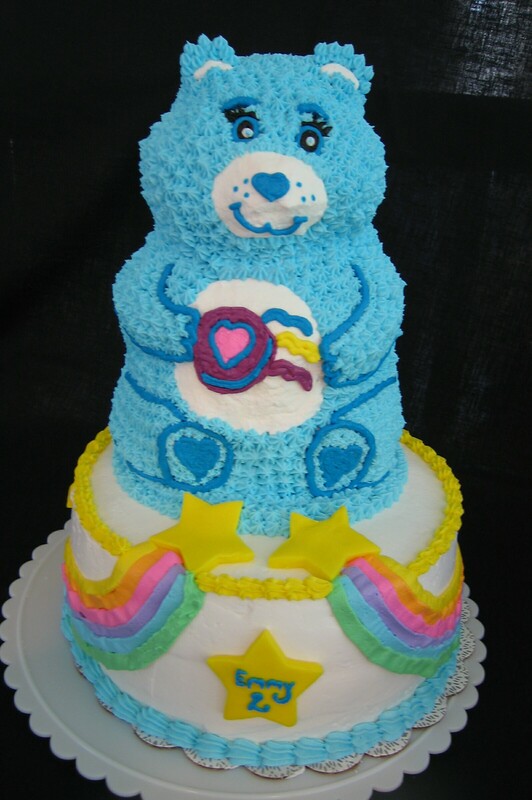 After all, cake is merely the canvas for yummy filling, frosting, decorations and candles…right? 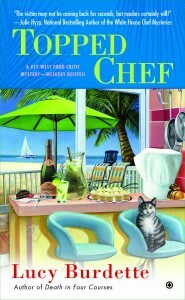 Then I picked up Topped Chef: A Key West Food Critic Mystery by Lucy Burdette. 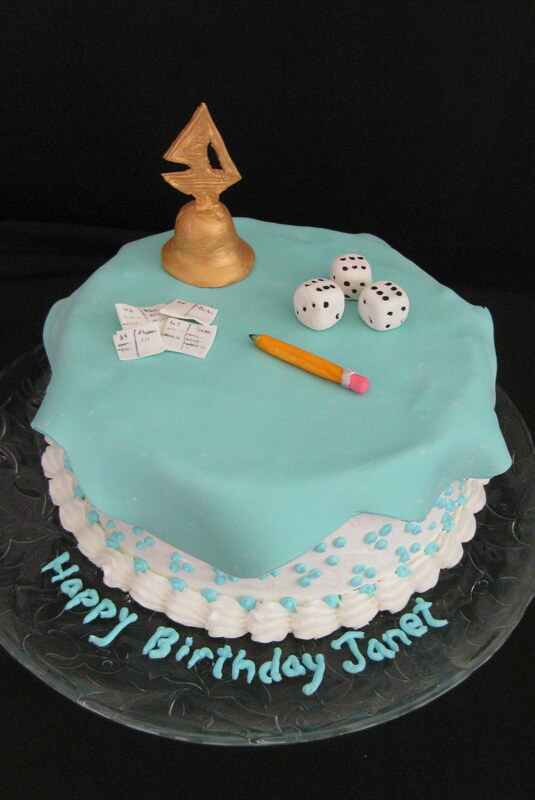 Little did I know a cozy mystery was going to change my mind about how I viewed cake! Hayley Snow is a food critic for style magazine, Key Zest, and has to give her first bad review on a local restaurant in Key West. Chef Rizzoli is extremely displeased, to say the least, and things go from bad to worse when Hayley finds herself on the same judging panel as Rizzoli for the the reality cooking show, Topped Chef. It doesn’t take long for someone to murder the unpleasant, arrogant chef and her hope-to-be romantic interest, Detective Bransford, is in charge of the investigation. However, she can’t help herself and begins snooping and asking questions around town. Soon she becomes a target and Hayley decides she must find the the murderer before she is the next victim. Hayley lives on board a houseboat with her roommate, spunky but elderly Miss Gloria, and their two cats. Space is at a premium on the houseboat but Hayley manages to put together a lovely chocolate cake with no fuss, which sparked my interest. The recipe for the cake is included at the back of the book and I enjoyed finding out that this was a recipe handed down from the author’s grandmother. I decided to give it a try and found it truly was just about as easy as opening a boxed mix and incredibly more delicious than going the “easy” way. The author recommends sprinkling the top of the cake with powdered sugar and then serving with ice cream…a quick and easy dessert for any night of the week. 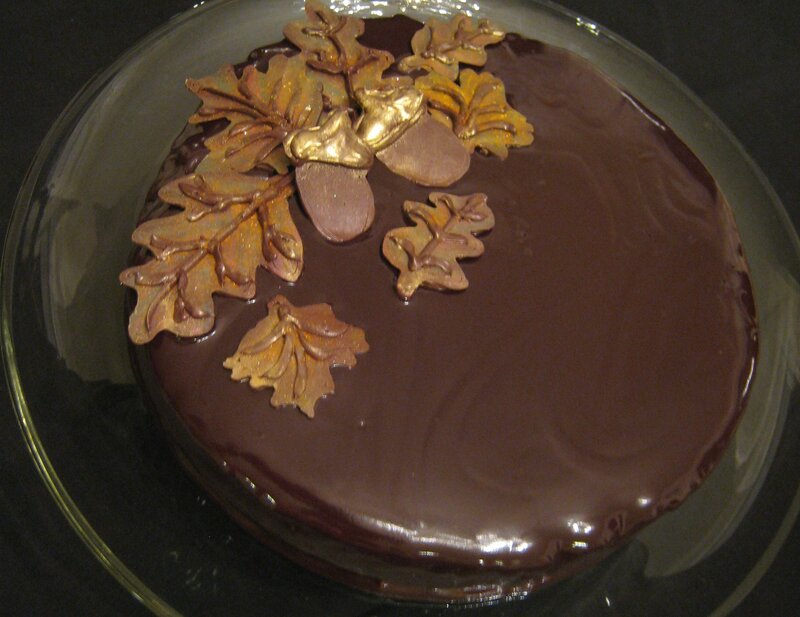 I couldn’t help myself though, and had to add some chocolate glaze and chocolate leaves which elevates this quick to make cake to a special celebration cake. 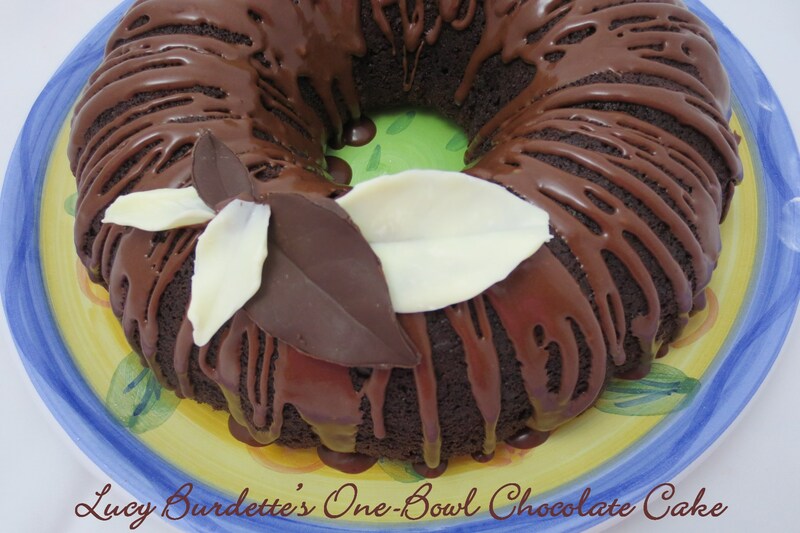 I was honored that Lucy Burdette allowed me to share her family recipe with you and I hope you enjoy this chocolate cake as much as we have! 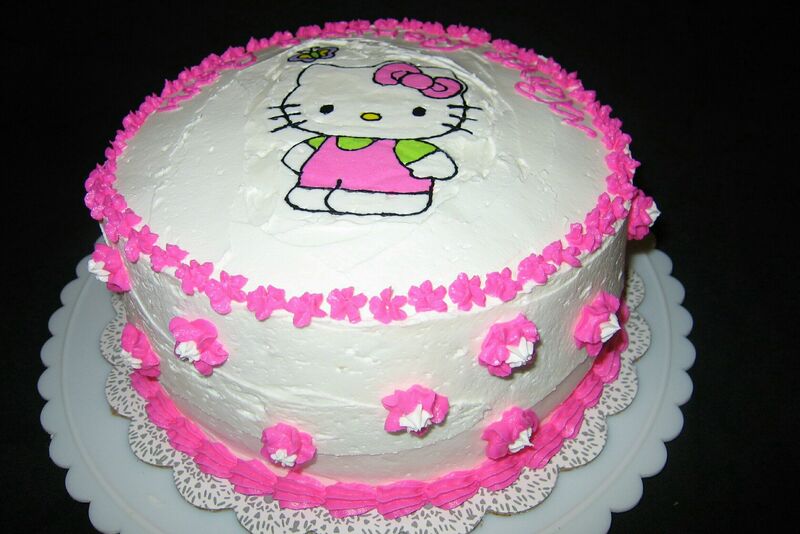 To make the cake dairy-free, use Crisco and substitute coconut, almond, rice or soy milk for the sour milk. You will still need to add the tablespoon of vinegar. Beat softened butter and sugar until well combined. 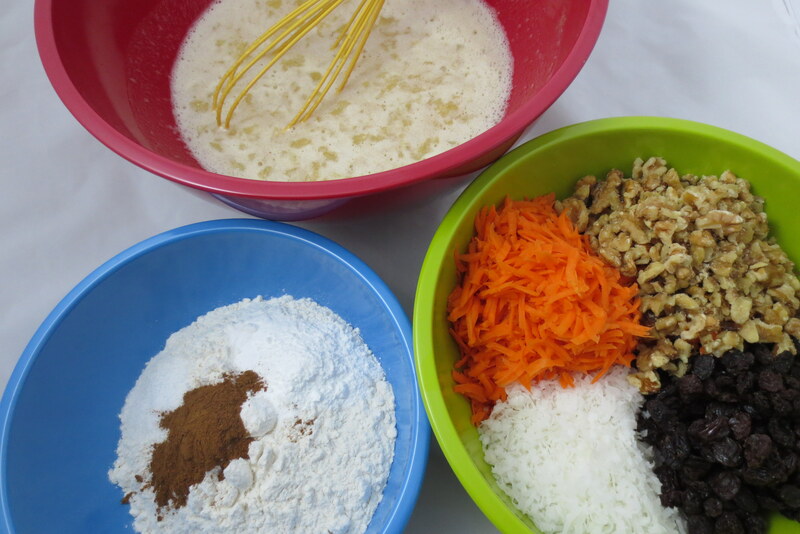 Add the other ingredients, one at a time, mixing after each. Grease a bundt pan, add the batter and bake for about 30 minutes until cake springs back when touched. 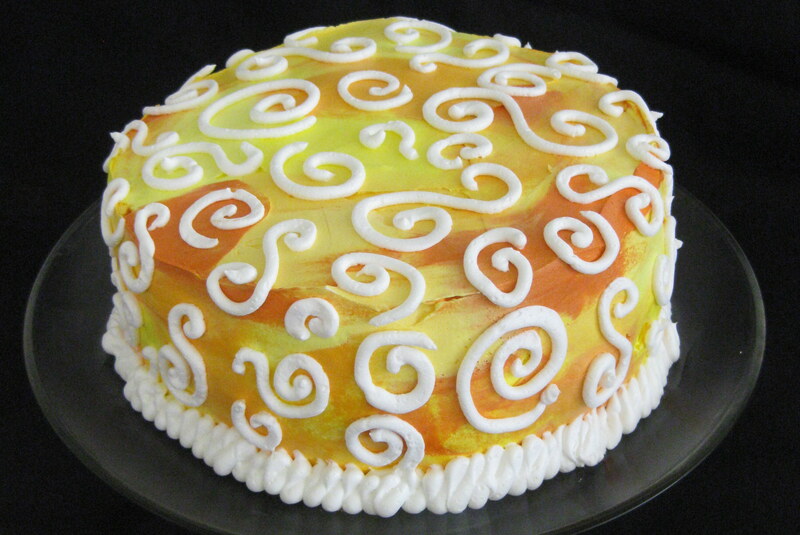 Cool for ten minutes and then invert onto a cake plate. 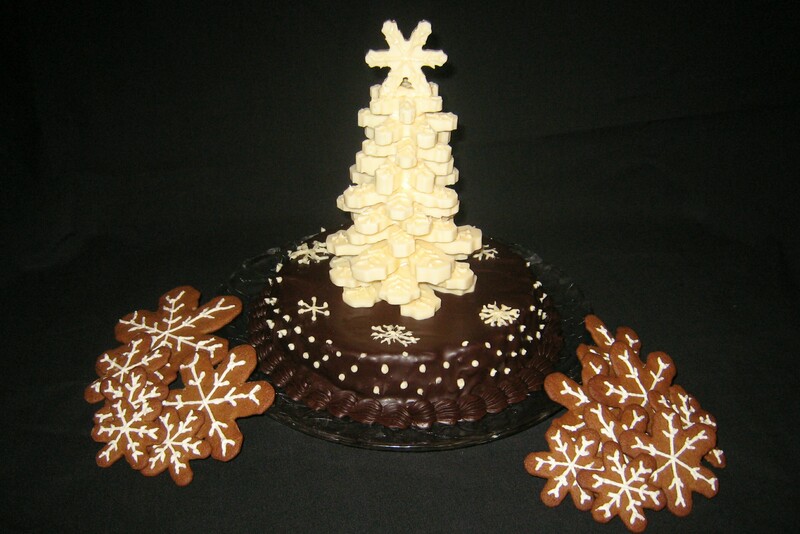 You can sift powdered sugar over the top when completely cool or for a special occasion, drizzle with chocolate glaze and garnish with chocolate leaves. Either way, serve with vanilla ice cream! Whisk the confectioner’s sugar, cocoa powder and salt together in a medium sized bowl. Add 1 tablespoon of the milk along with the vanilla extract. If the mixture is too thick, add additional milk one teaspoon at a time until desired consistency is reached. I like using Chocoley’s Bada Bing Bada Boom Chocolates, but any premium chocolate bars will do. Impeccably clean non-poisonous leaves of varying sizes. Make sure your leaves have not been sprayed with insecticides as well. Chop the chocolate into small pieces if you choose to use bar chocolate. Place dark chocolate into a small microwave-safe bowl and white chocolate into another bowl. Working with one chocolate at a time, heat in the microwave for 30 seconds. Stir and heat an additional 30 seconds. Remove and stir, allowing the warm bowl to continue to melt the chocolate. If needed, heat in 10 second increments until chocolate is spreadable. You do NOT want to overheat chocolate because it will get hard and grainy. 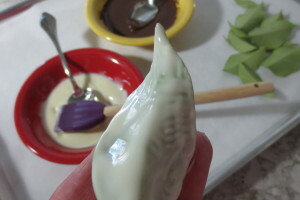 Using a silicon pastry brush or the back of a small spoon, gently spread the chocolate to the back side of the leaves. You want a fairly thin layer and try to avoid having the chocolate drip over the edges. 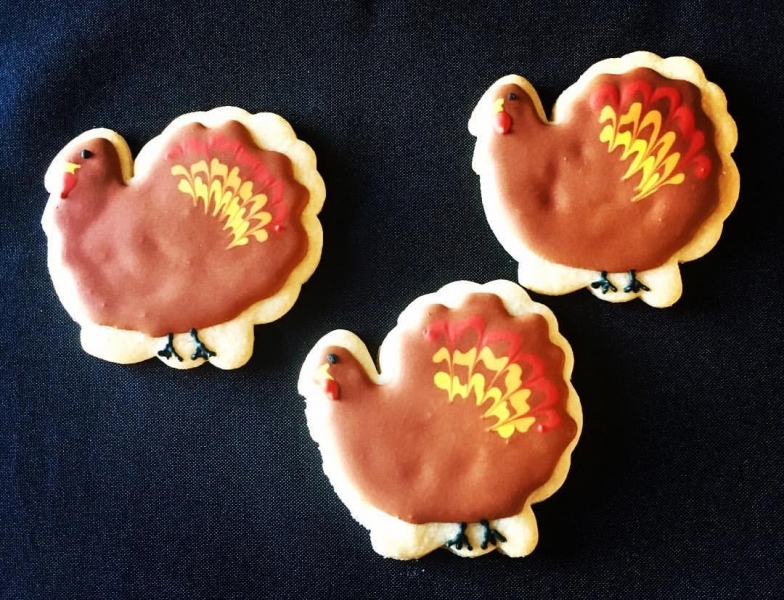 As you cover the leaves with the melted chocolate, place them on a parchment lined tray or baking sheet then chill in the refrigerator while you work on the second bowl of chocolate. Set the first bowl aside after removing the spoon or pastry brush. 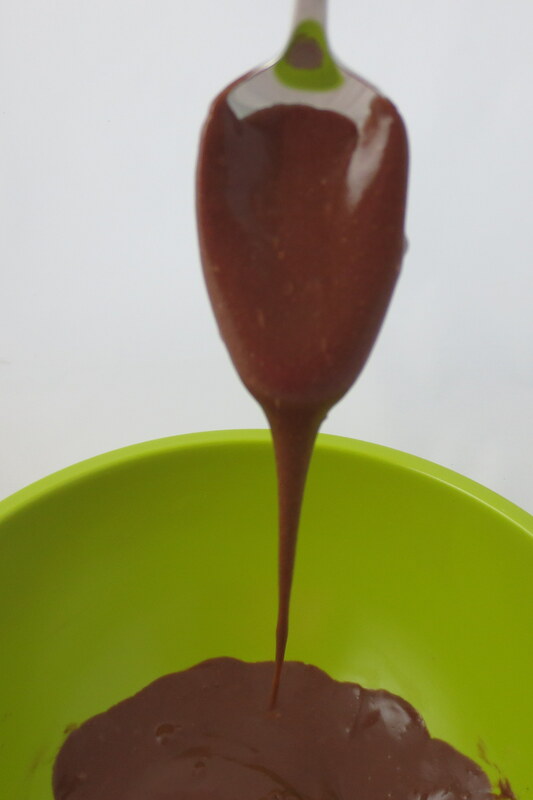 Repeat the melting and spreading process with your second bowl of chocolate, then refrigerate the leaves. Heat the first bowl of chocolate (which should have firmed up) in the microwave in 5 second intervals, stirring each time, until it becomes spreadable. Remove the first tray of chocolate leaves from the refrigerator and apply a second coat of chocolate. I went a bit thicker with this coat. Once completed, return leaves to refrigerator. Repeat process with the second bowl of chocolate. Once leaves are completely firm, carefully pull the chocolate leaves from the real leaves, starting from the stem end and decorate to your heart’s content! Don’t allow any water or moisture to come in contact with the chocolate because it will cause the chocolate to seize and it will become unusable. Don’t overheat or it will seize. 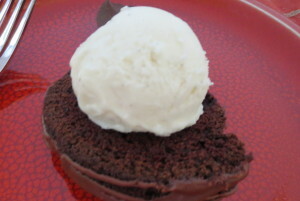 You may flavor the chocolate using a minute amount of flavoring OIL, such as peppermint. Don’t use an extract which contains water and will cause chocolate to seize. I found out the hard way…wash hands after handling the dark chocolate leaves before picking up the white chocolate leaves. 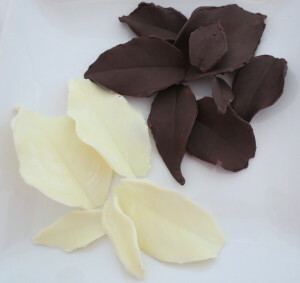 If your chocolate leaf edges are rough, use the heat of your fingers to gently smooth them. Years ago, when my husband developed his dairy intolerance, the only commercial option for dairy that I could find was soy and he didn’t like that at all. And Pinterest hadn’t been born yet and vegan wasn’t mainstream. He learned to do without desserts and then all of a sudden there were a lot more choices and a lot more recipes to try. And we made friends with a committed vegan who pointed me in the right direction (and is one of my core taste testers.) As I became more experienced and confident cooking without dairy and eggs I’ve found that I prefer the texture and moistness of vegan cupcakes over regular recipes. 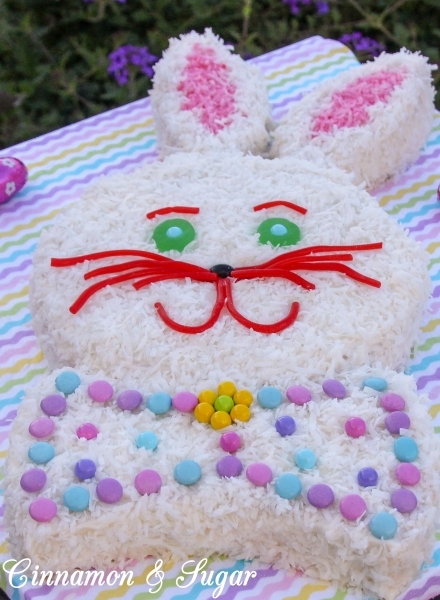 Although it was a hard lesson the first time I made a vegan stacked and carved cake…without the structure of the egg, it completely collapsed on me beneath the weight of the icing and fondant right before the birthday party! 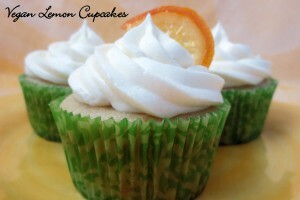 I hope you enjoy my vegan lemon cupcakes as much as we have! Line a muffin pan with paper liners and lightly spritz with cooking spray. In a medium-sized bowl, stir the apple cider vinegar into your choice of milk. Set aside while you collect the rest of your ingredients. 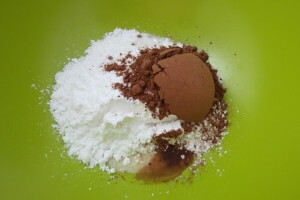 In a large bowl, whisk the flour, salt, baking soda and baking powder together and set aside. 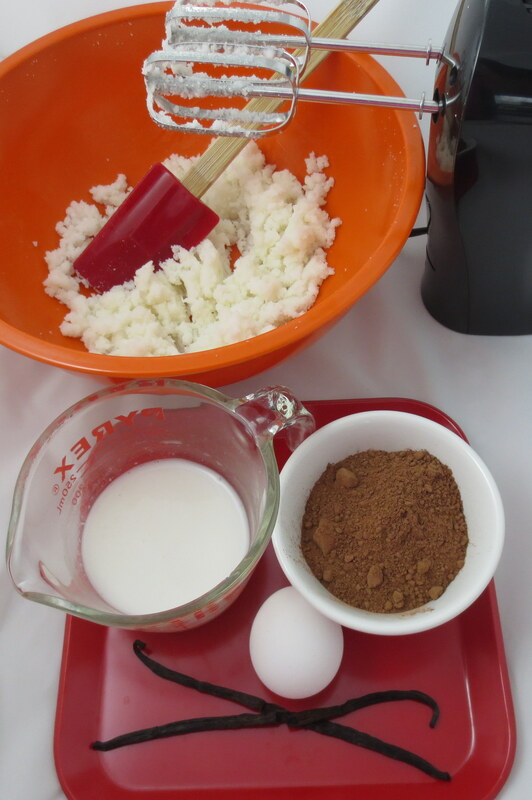 Measure and add the vegetable oil, sugar, vanilla, lemon juice and zest to the bowl of milk. Whisk until incorporated. 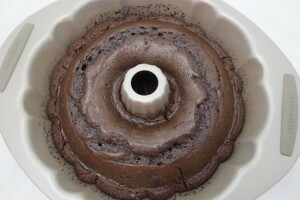 Scoop batter into the paper lined muffin pan, filling no more than 3/4 full. 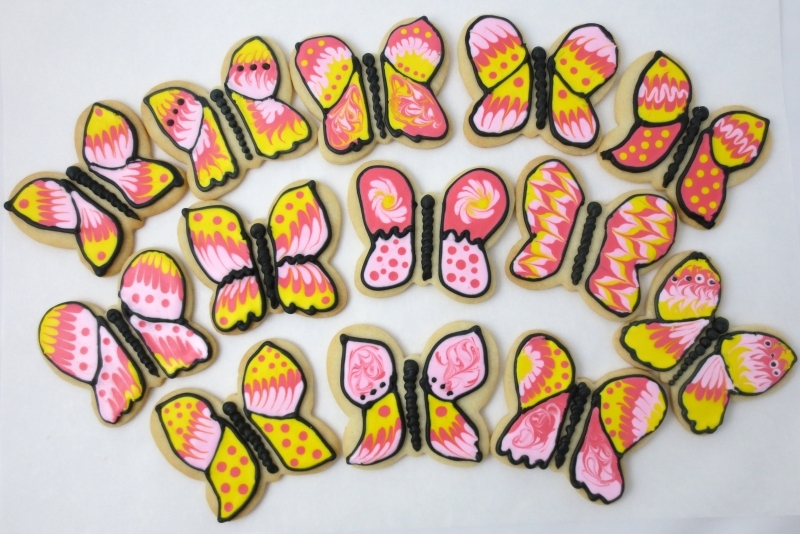 I like using a spring-loaded 2 tablespoon cookie scoop for this. Bake 15 – 17 minutes. 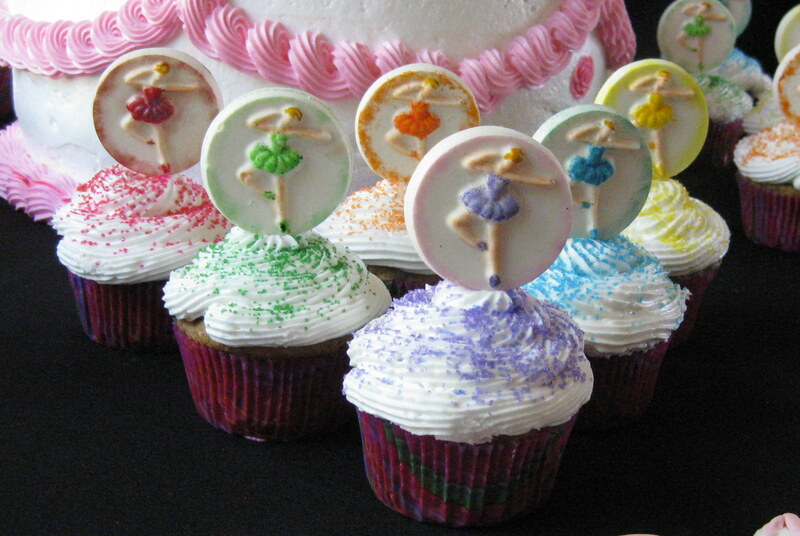 A wooden skewer inserted into the center of the cupcake should come out clean. 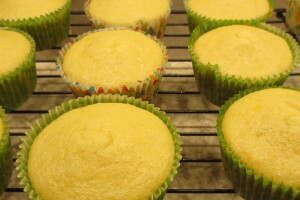 Remove from oven and cool in muffin pan 5 minutes then remove cupcakes to a wire rack. Place vegan margarine and 1-1/2 cups confectioner’s sugar into a large bowl. Beat with an electric mixer until creamy, about 2 minutes on medium-low speed. Add vanilla, lemon juice and lemon oil (if using) and beat until incorporated. 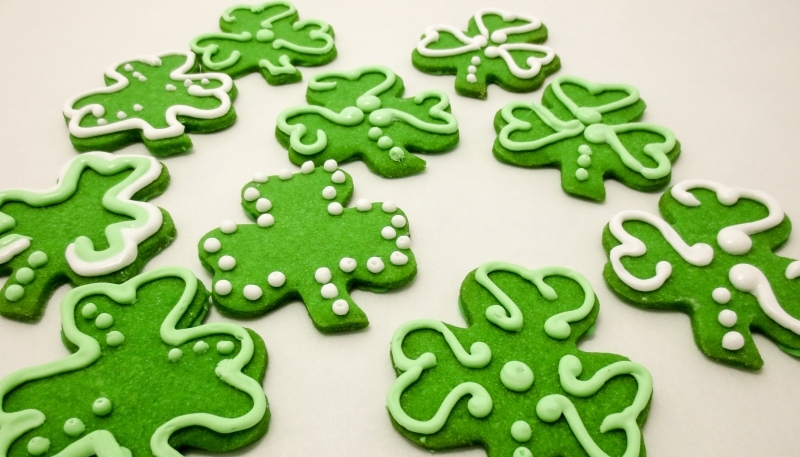 Add remaining confectioner’s sugar and beat until creamy and fluffy, about 3 – 4 minutes. 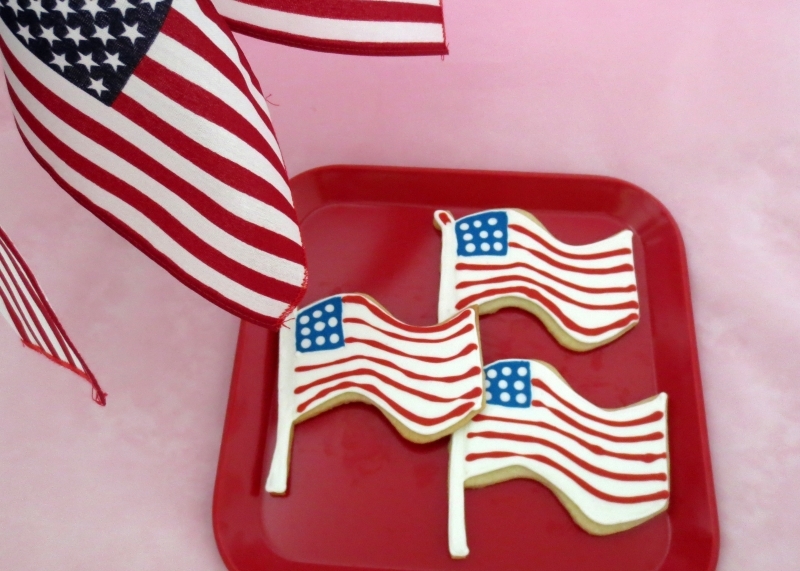 If icing seems too thick, add additional lemon juice 1/2 teaspoon at a time until desired consistency is reached. 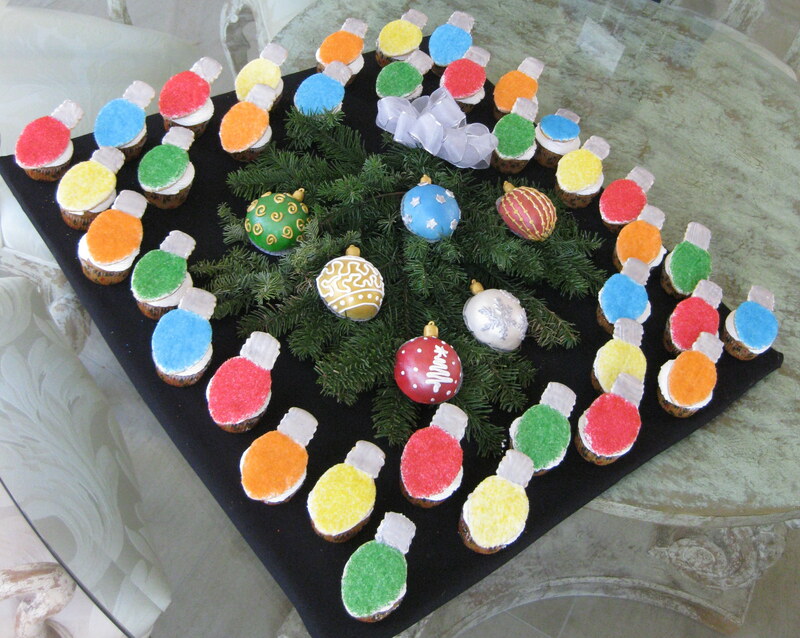 Fill a pastry-decorating bag, fitted with a large star tip, with the icing and pipe large swirls on top of the cupcakes. Garnish with candied lemon slices if desired. 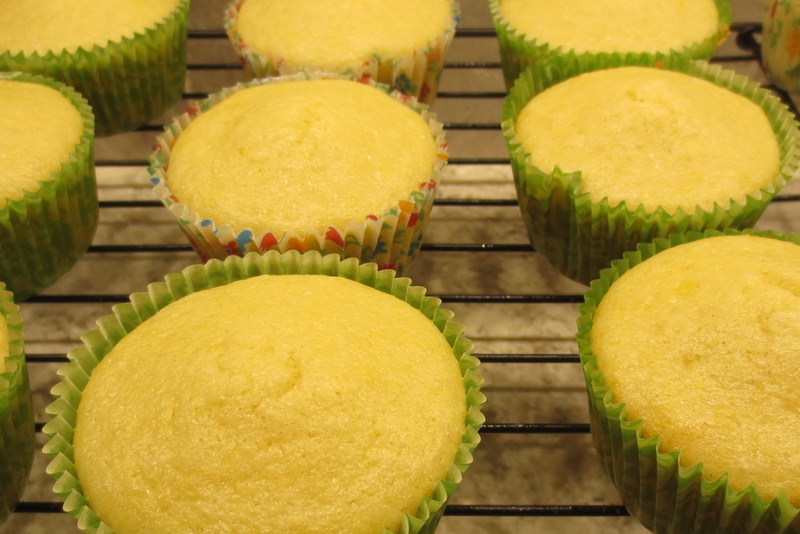 If you have extra batter for just a couple cupcakes and don’t want to use a full-sized muffin pan, I like having individual silicon baking cups on hand. Simply fill as directed above, place silicon cups on a small baking tray and bake at the same time as your other cupcakes. When you have an abundance of lemons, juice and zest them, then freeze in 1/2 cup, 1/4 cup and tablespoon increments. Simply defrost in the microwave when needed. 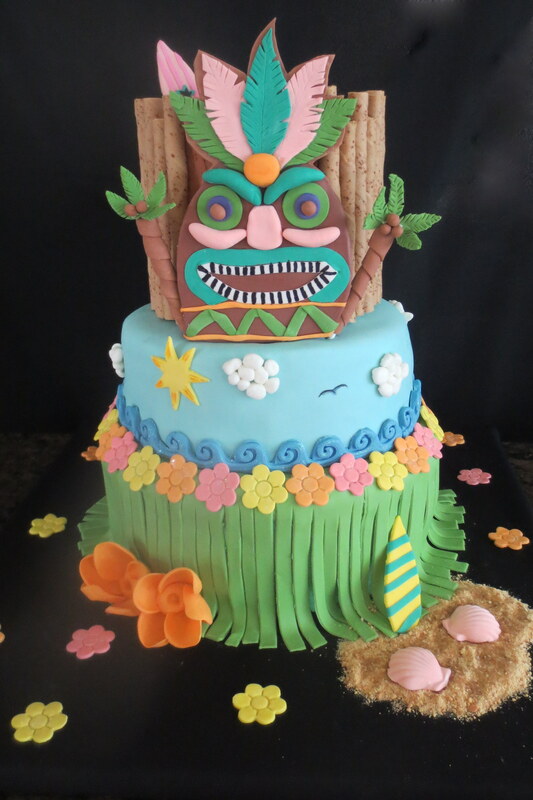 Okay, I’m going to show you my “blooper” using vegan cake for a stacked and carved cake…. 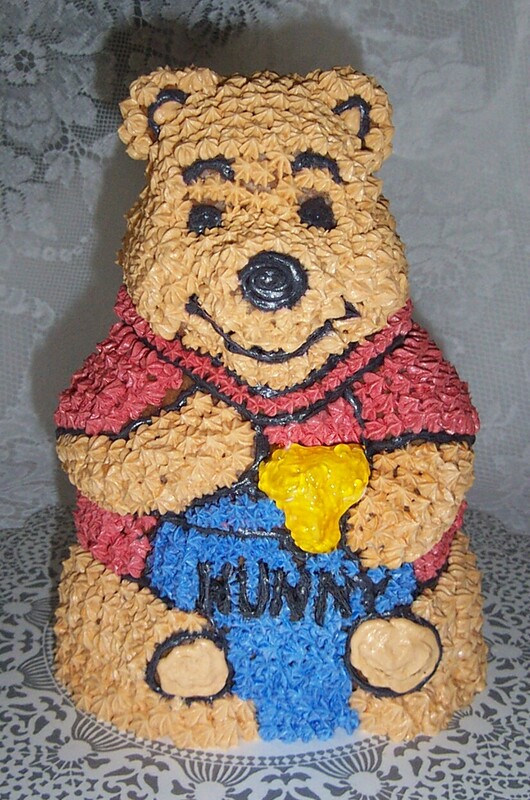 After I cried a bit my husband dried my tears and titled the cake. 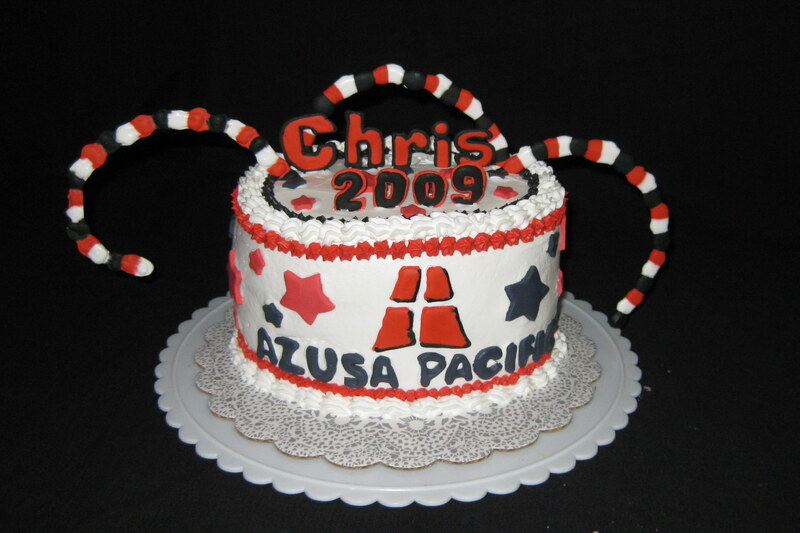 I was able to giggle and take the cake to the party. 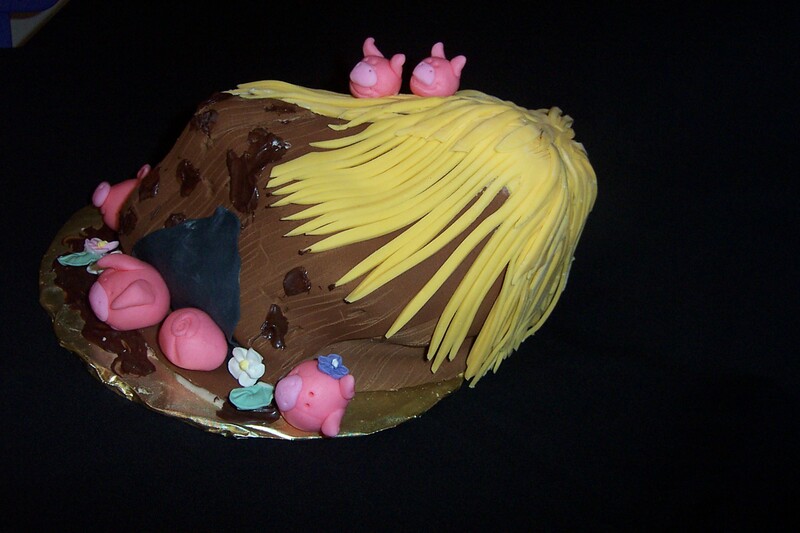 It tasted delicious and no one cared a bit!